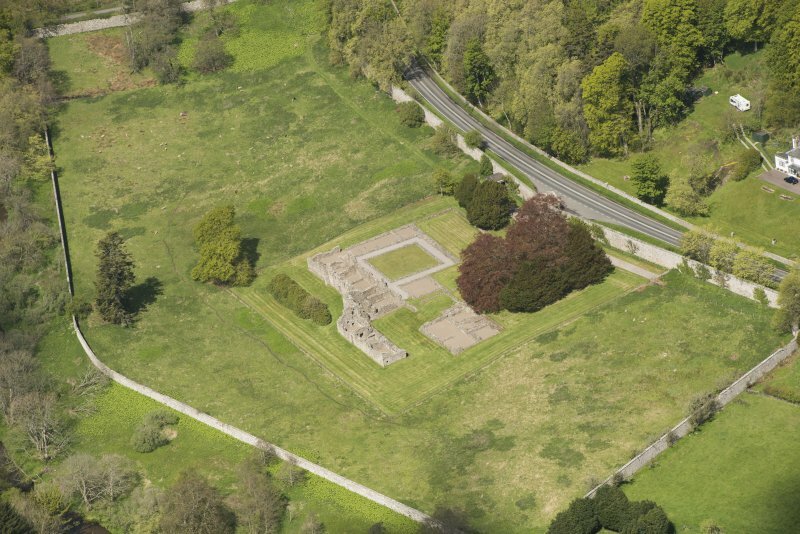 Oblique aerial view centred on the remains of the abbey and the house and walled garden, taken from the WSW. 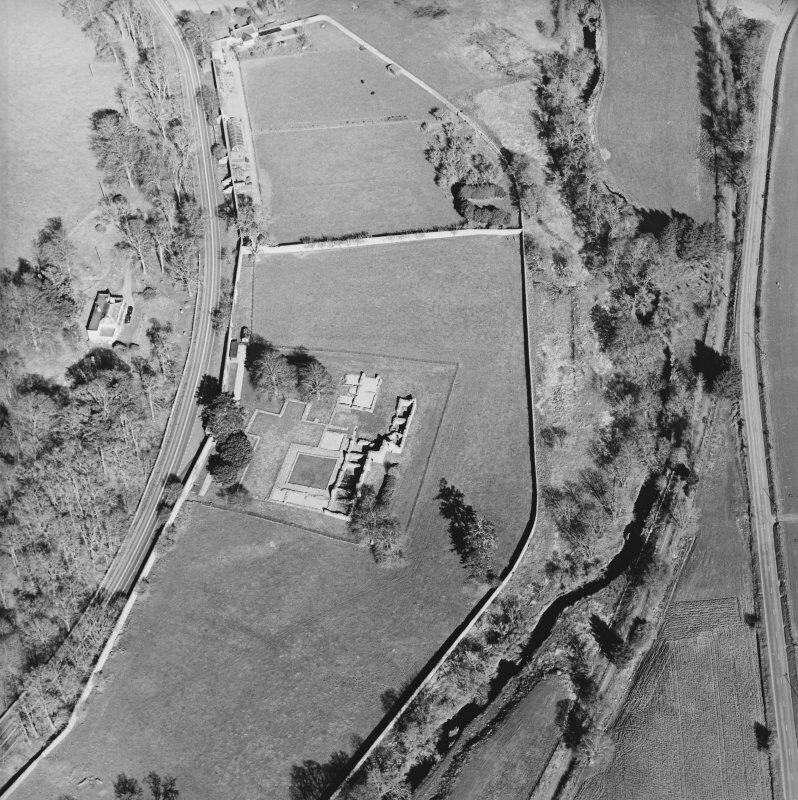 Oblique aerial view centred on the remains of the abbey with the walled garden and house adjacent, taken from the SW.
Oblique aerial view centred on the remains of the abbey with the walled garden and house adjacent, taken from the N.
Oblique aerial view of Deer Abbey and walled garden, looking NW. 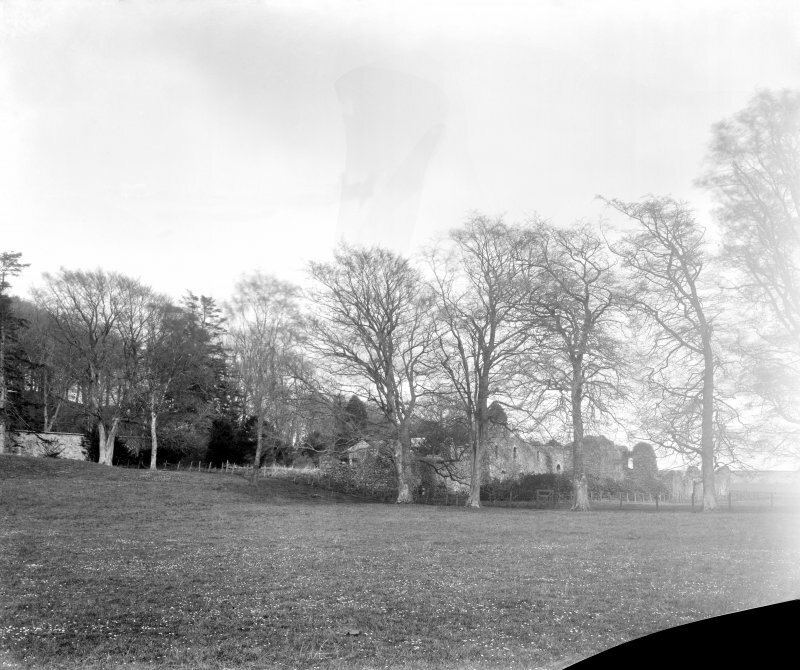 South range from north west. 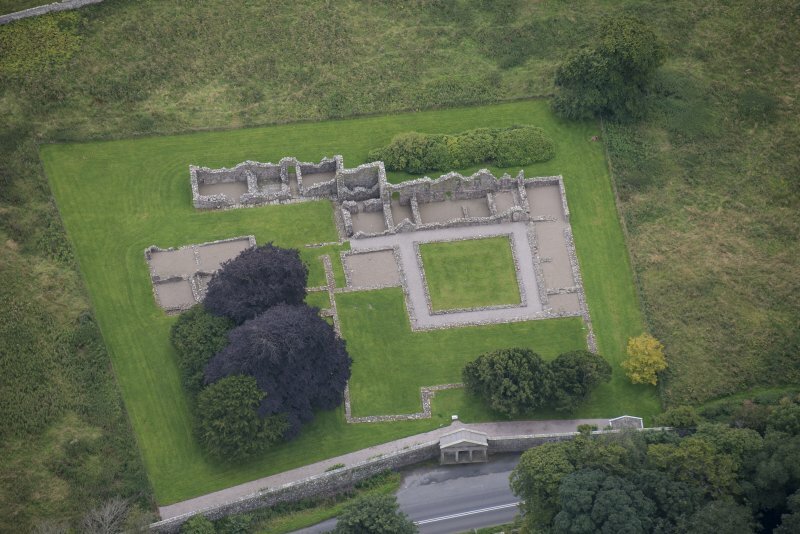 Oblique aerial view of Deer Abbey, looking to the WNW. 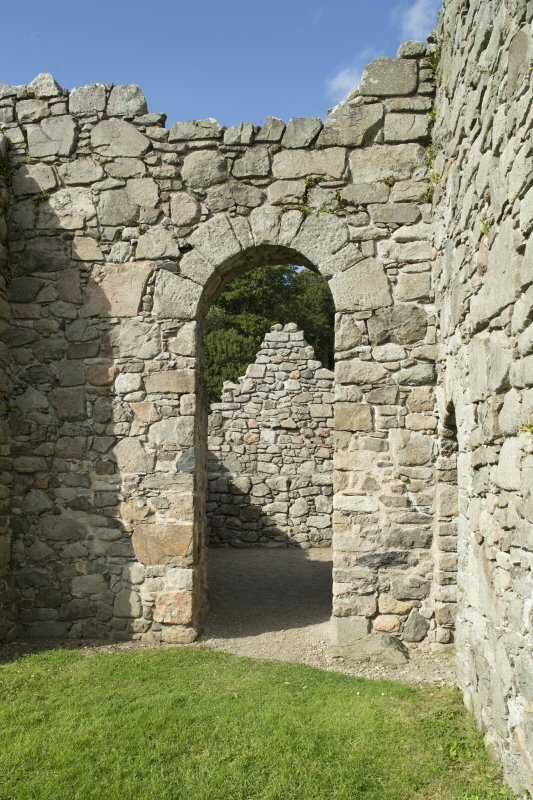 View of doorway to Abbot's Lodging. 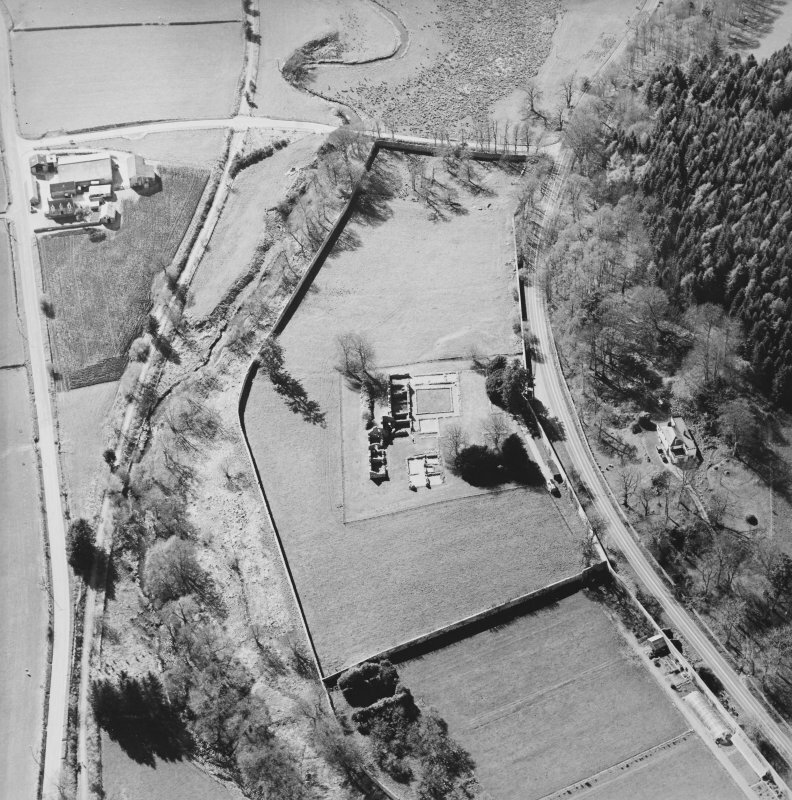 South range. 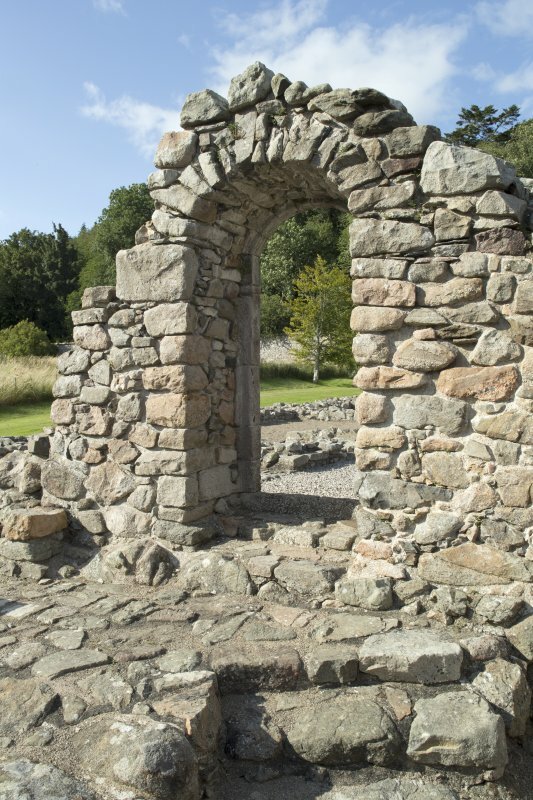 Arched entrance from south. 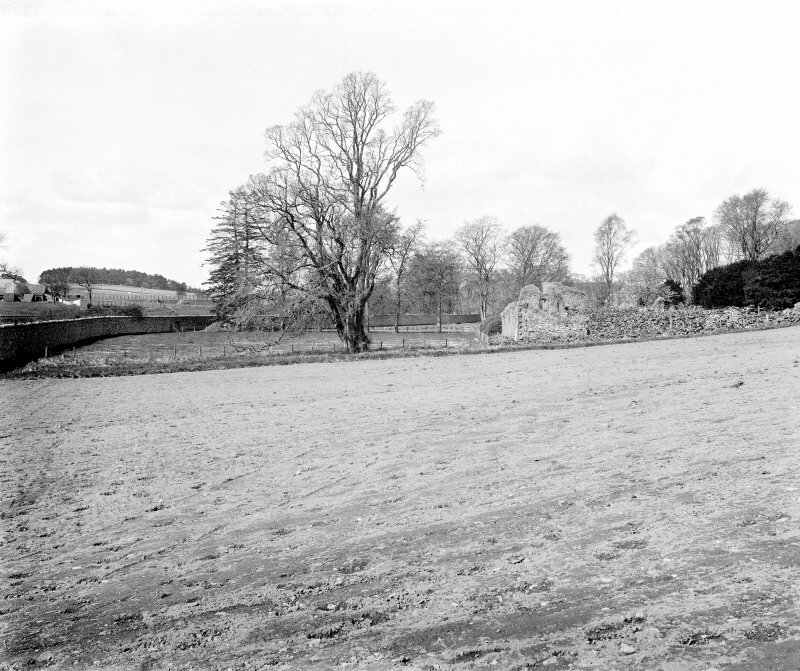 South range from south west. 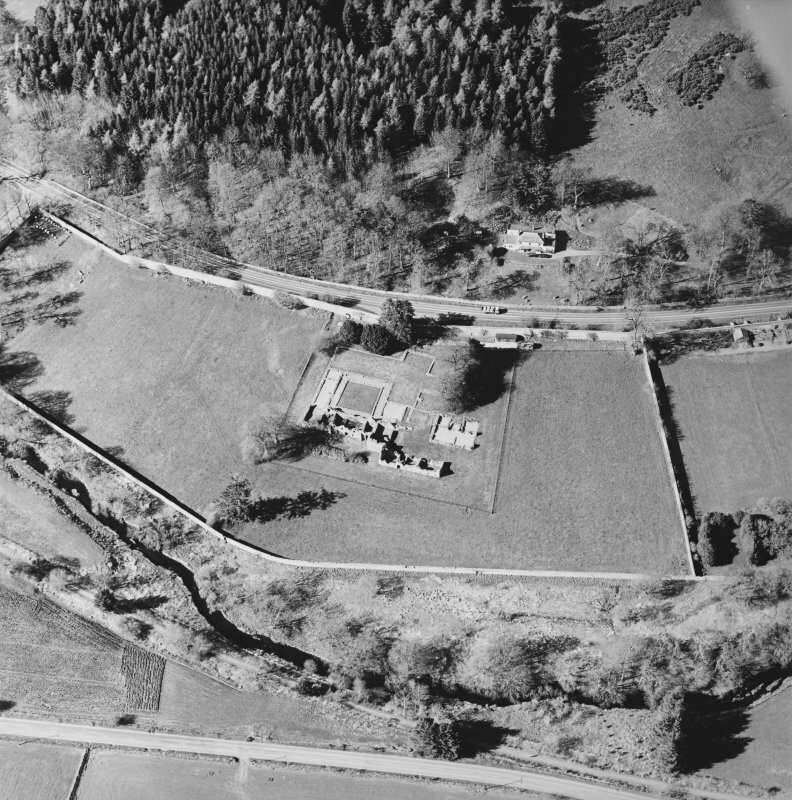 General oblique aerial view of Deer Abbey, looking to the N.
View of cloister walk excavation. 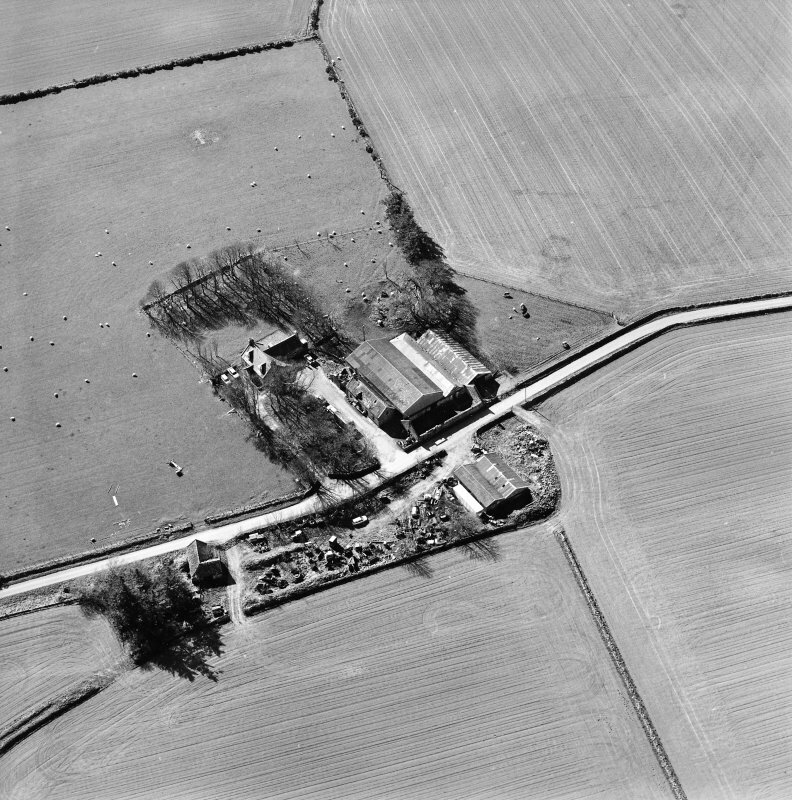 Oblique aerial view centred on the remains of the abbey and the house, taken from the S.
Oblique aerial view centred on the remains of the abbey and the house, farmhouse and farmsteading, taken from the ESE. 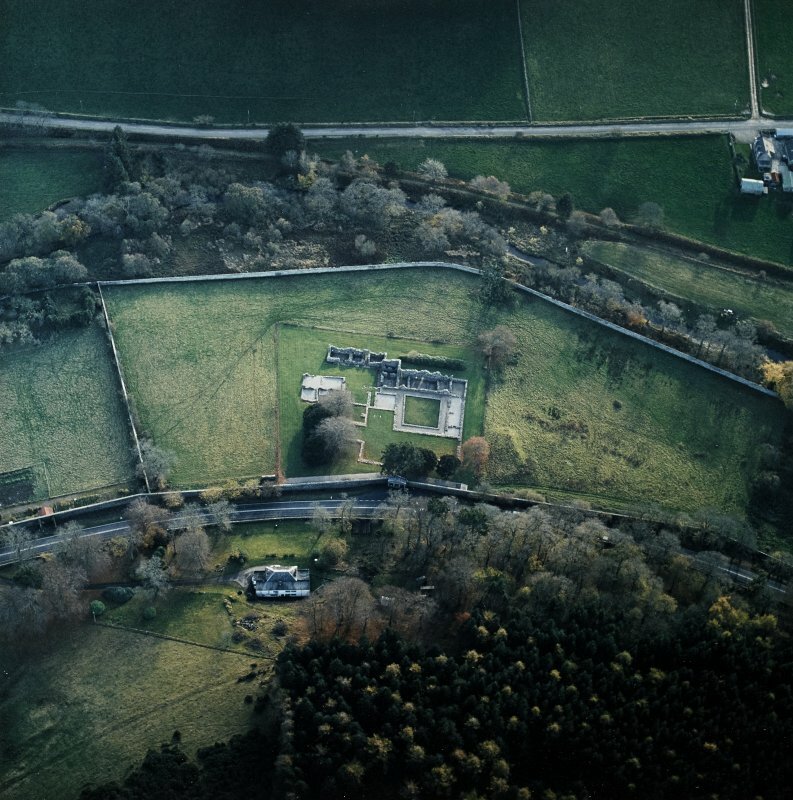 Oblique aerial view centred on the remains of the abbey and the house and walled garden, taken from the SW.
Oblique aerial view of Deer Abbey, looking to the NNE. 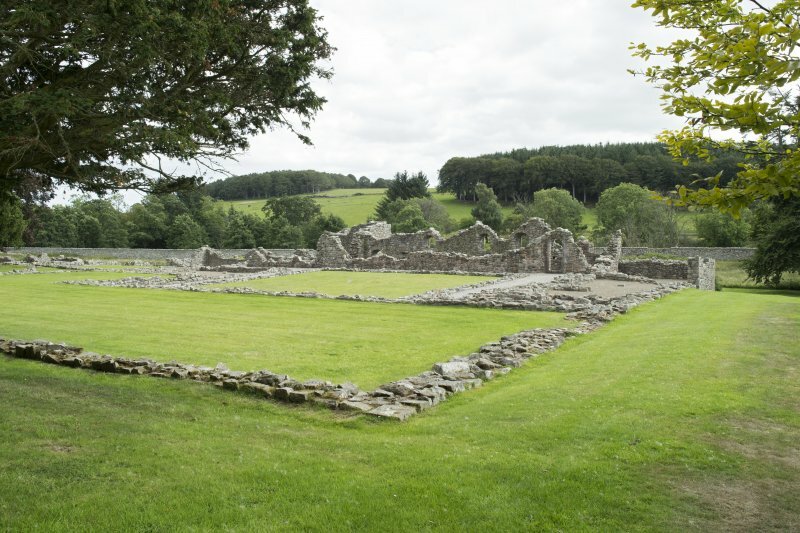 General view of Conventual buildings from cloister. 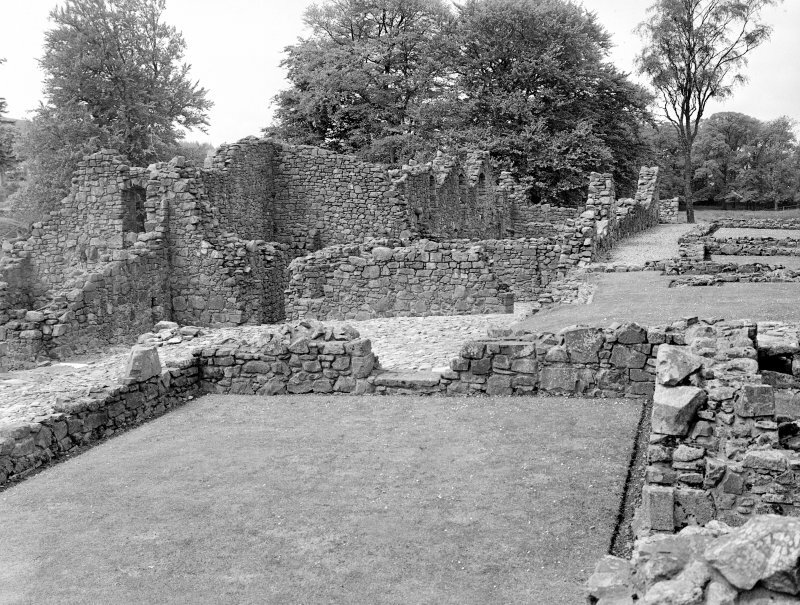 View of South wall of Refectory. 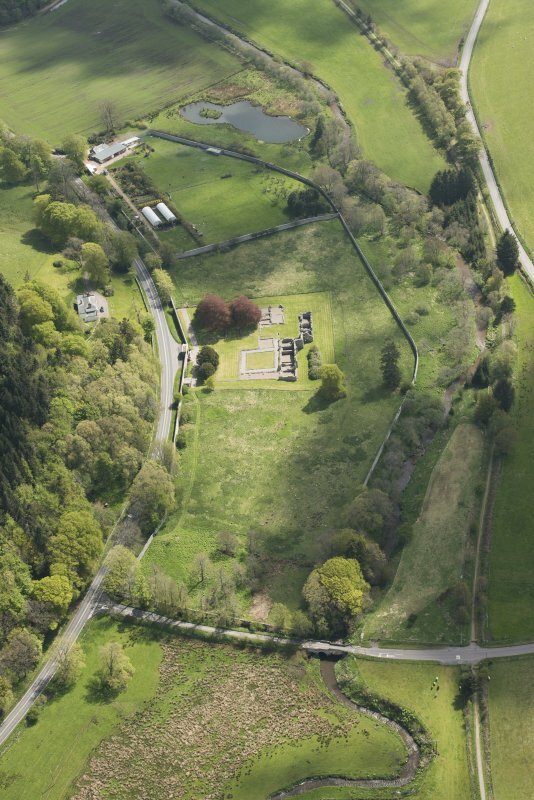 Oblique aerial view centred on the remains of the abbey and the house, taken from the ESE. 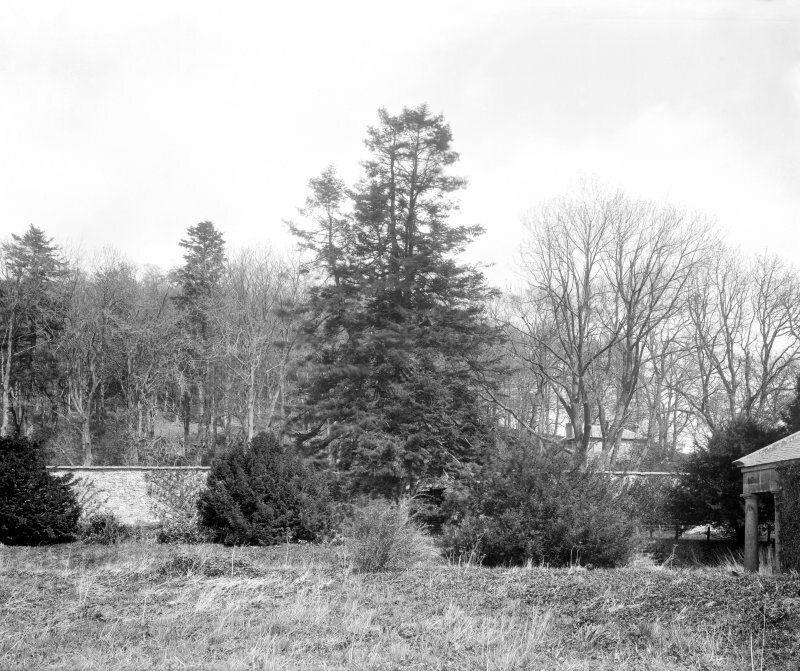 South range. 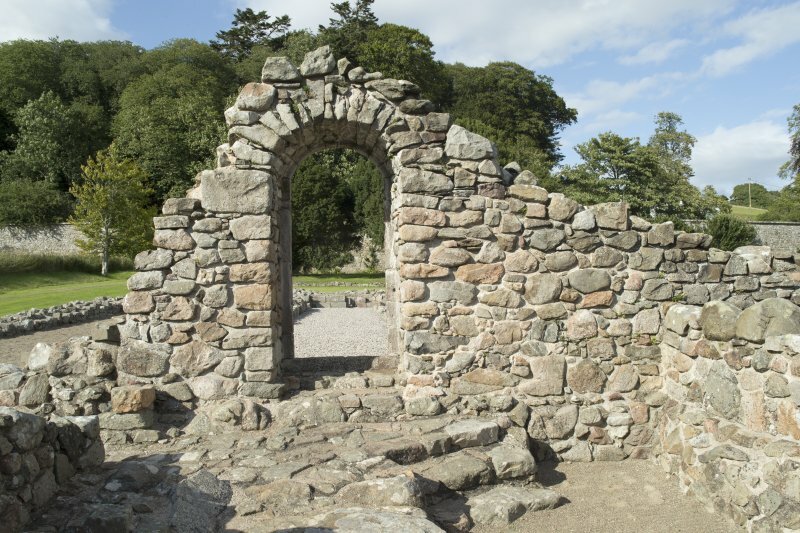 Arched entrance from south east. 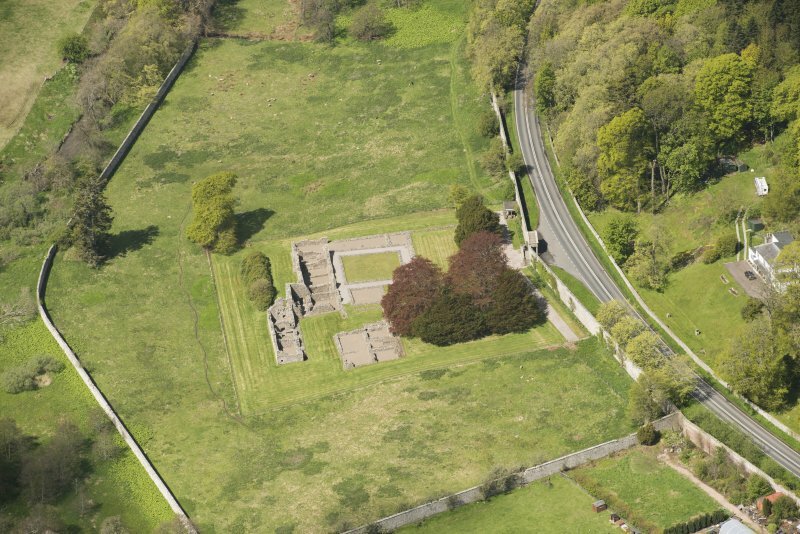 Oblique aerial view of Deer Abbey, looking to the NE. 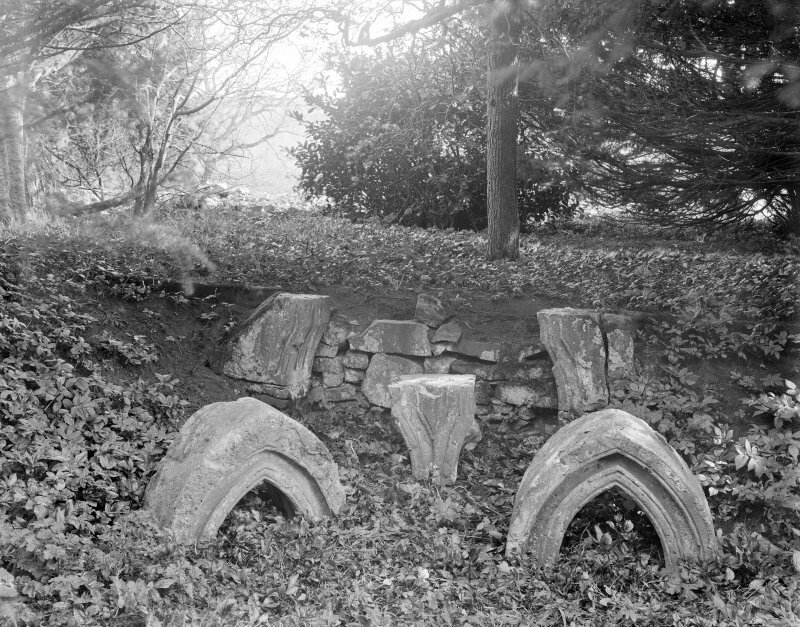 Detail of fragments of two arches, perhaps remains of sedilia. 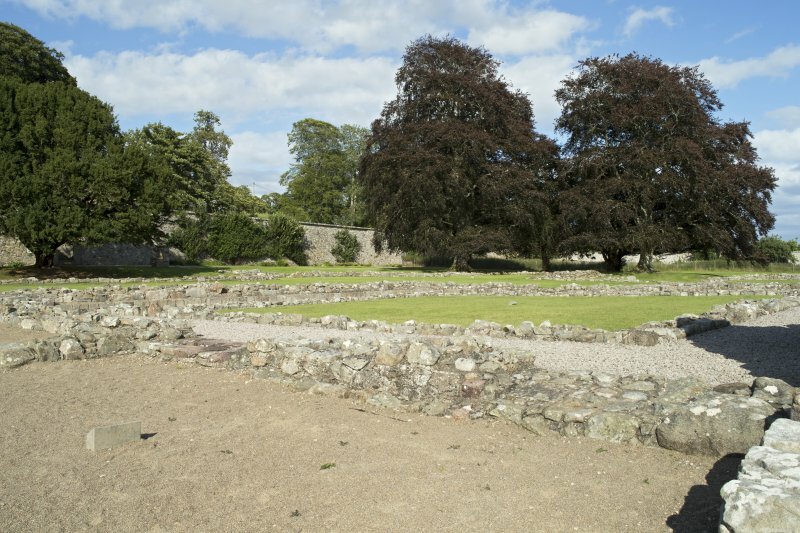 View of buildings to South of cloister. 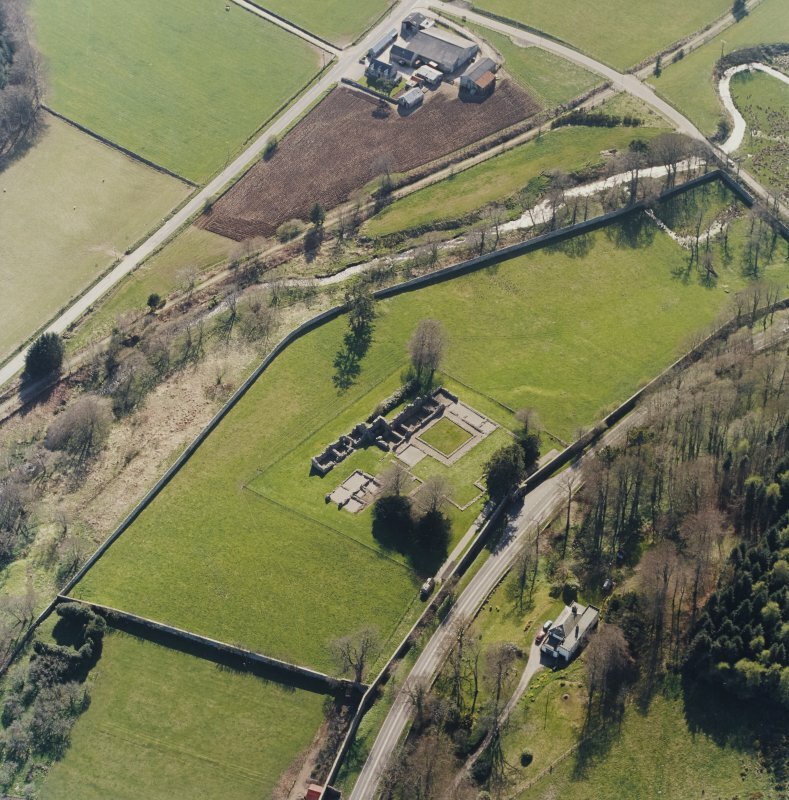 Oblique aerial view centred on the remains of the abbey with the walled garden and house adjacent, taken from the SSW. 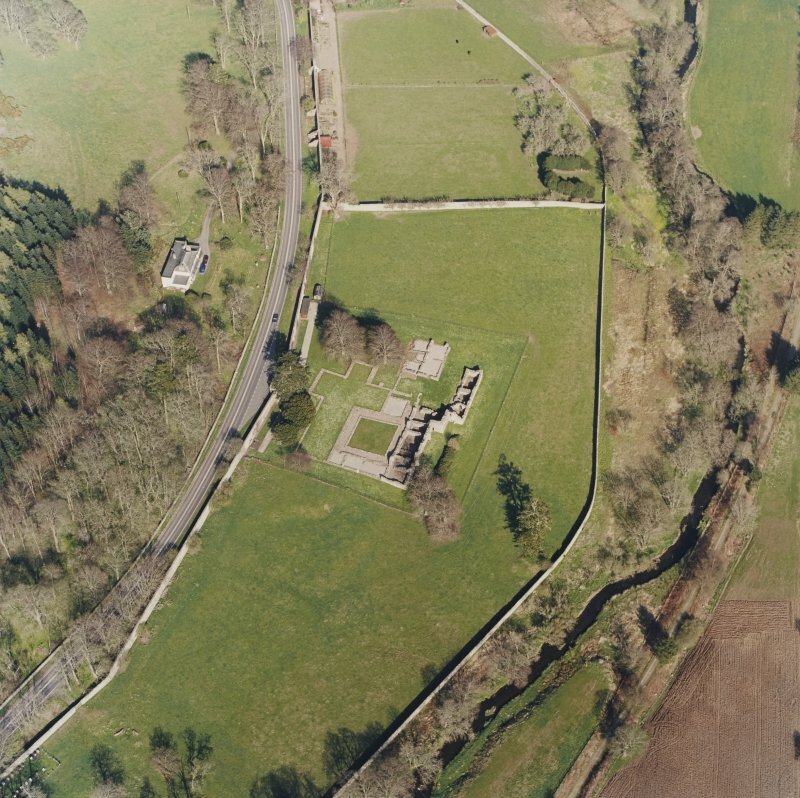 Oblique aerial view centred on the remains of the abbey with the walled garden, house and farmsteading adjacent, taken from the NE. 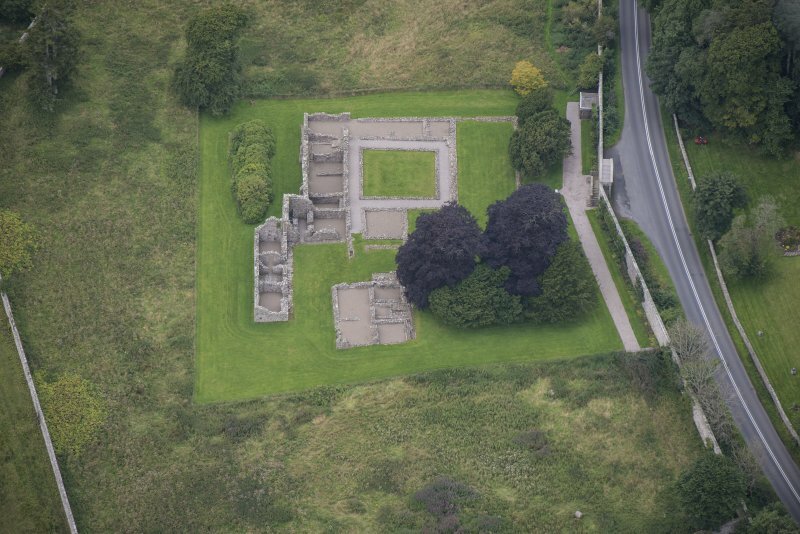 Oblique aerial view centred on the remains of the abbey and the house, taken from the NNW. 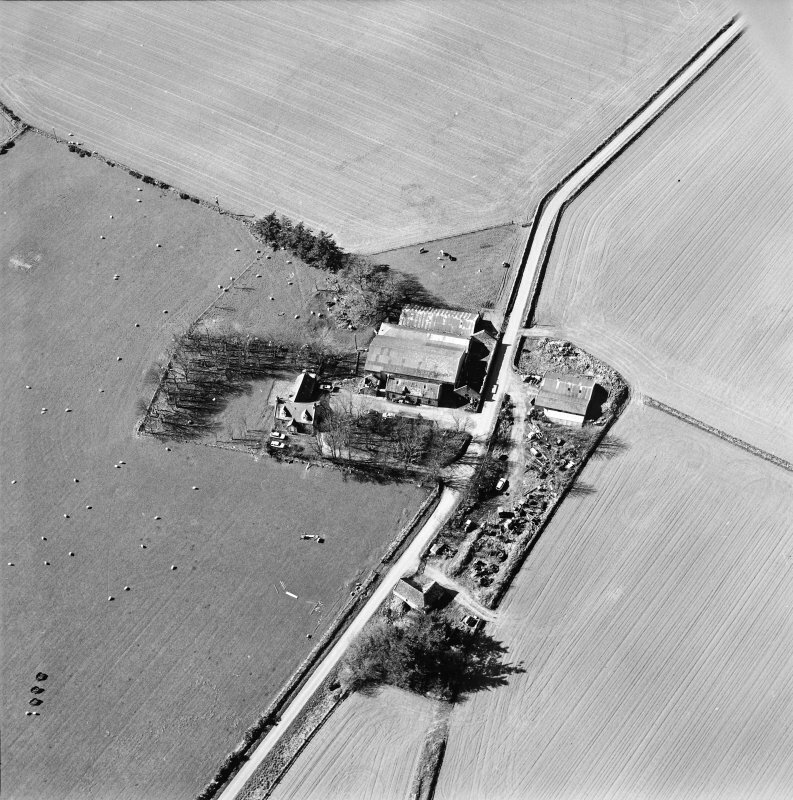 Oblique aerial view centred on the remains of the abbey and the house, farmhouse and farmsteading, taken from the NE. 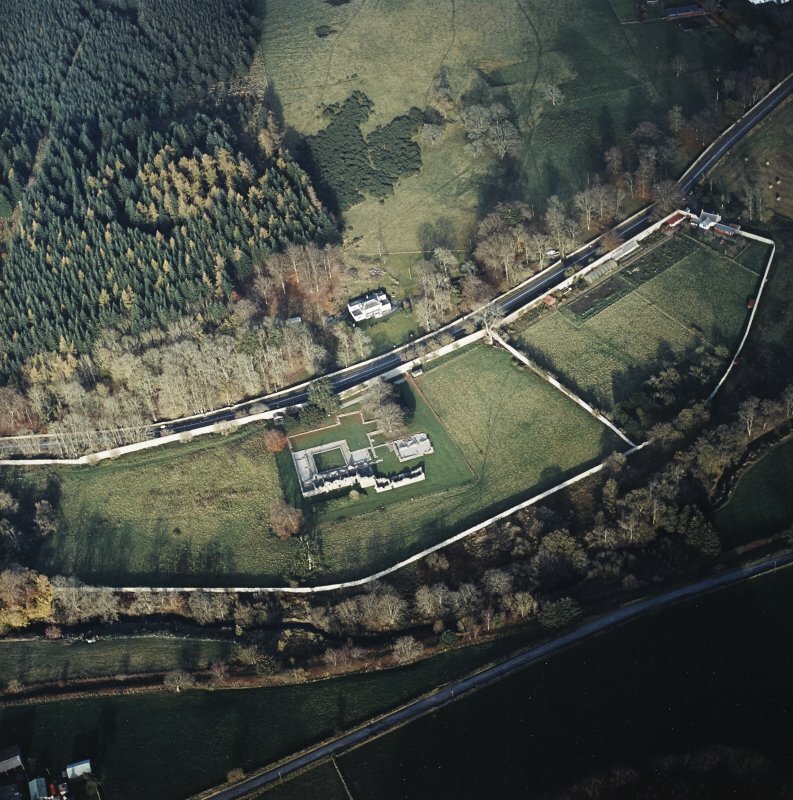 Oblique aerial view of Deer Abbey, looking to the NW. 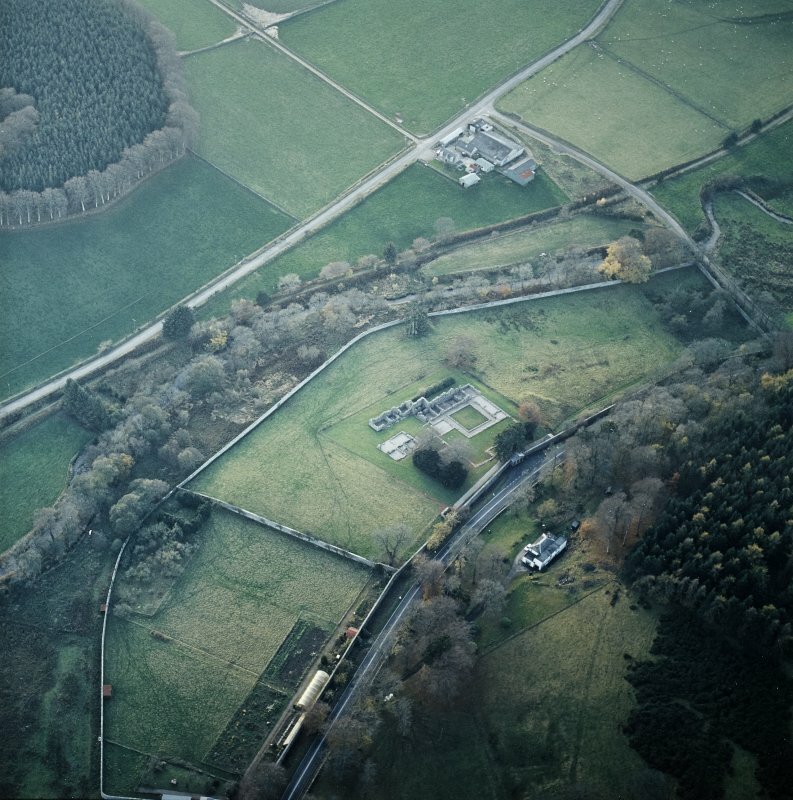 Oblique aerial view of Deer Abbey, looking to the E.
Oblique aerial view of Deer Abbey, looking to the ESE. 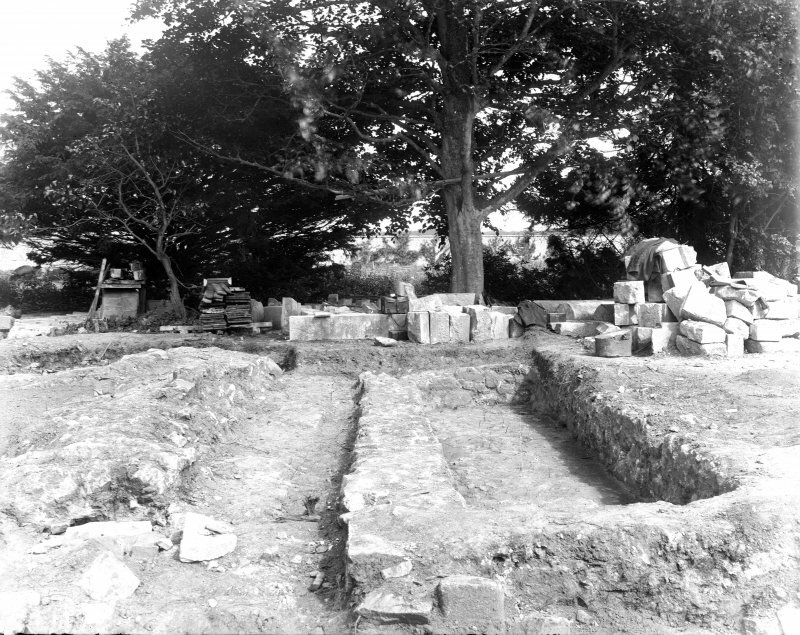 View of cloister excavation from South-West. 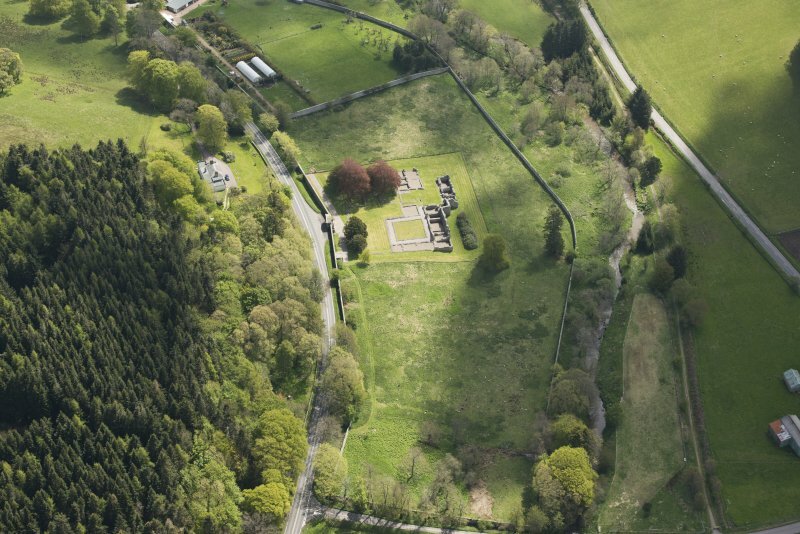 Oblique aerial view centred on the remains of the abbey and the house, taken from the NW. 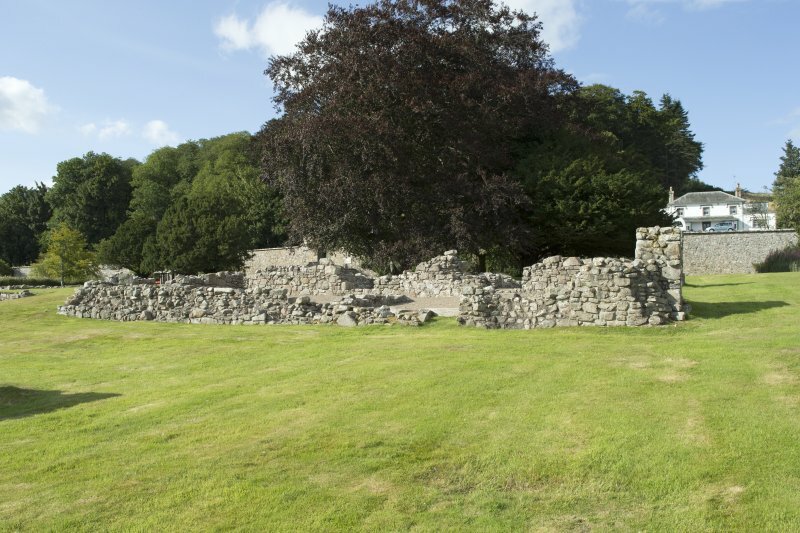 South wall from south east. 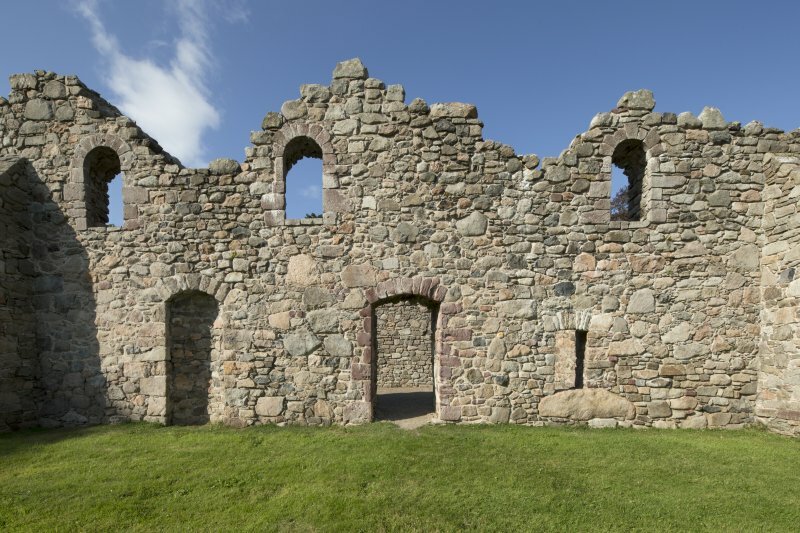 South wall showing doorways and window openings. 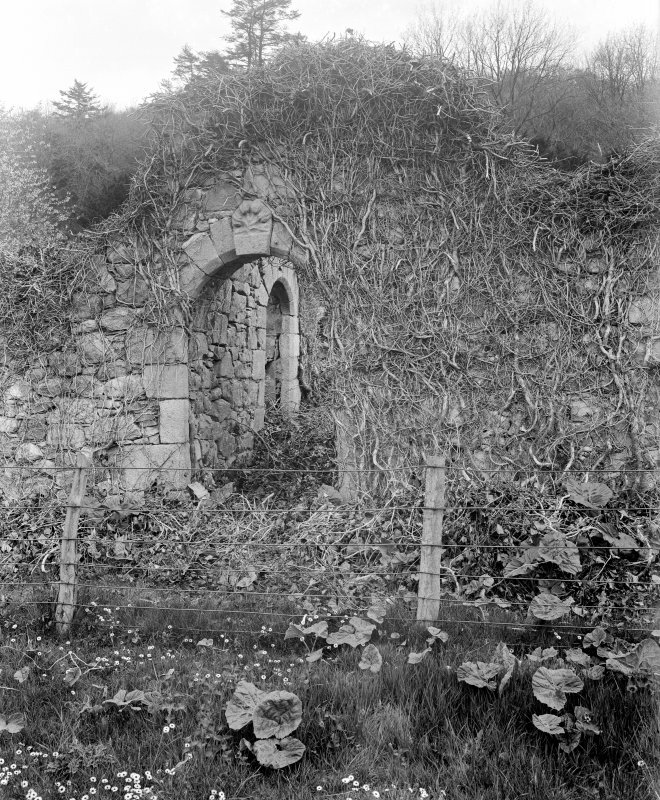 Doorway on north side of south range from south west. 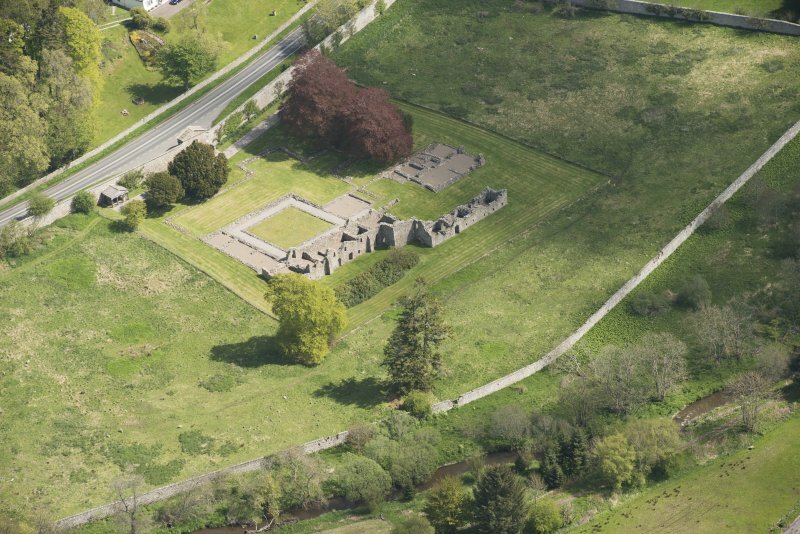 Oblique aerial view of Deer Abbey, looking to the ENE. 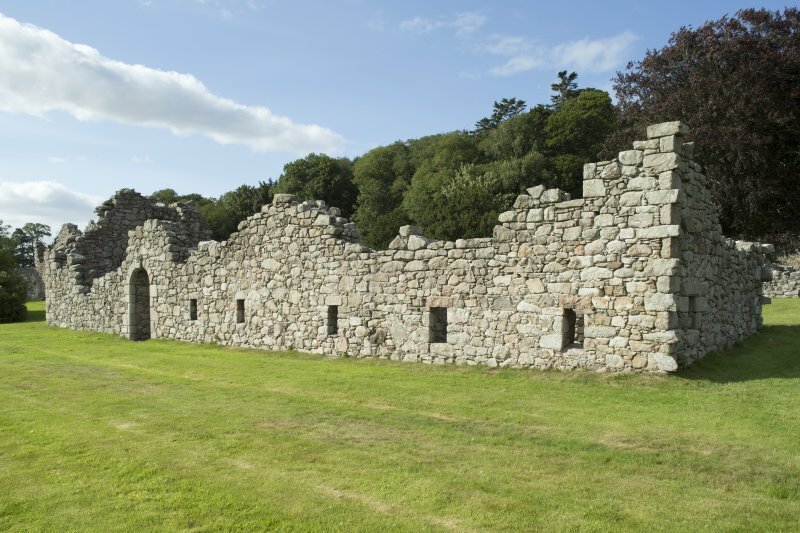 View of South wall of Abbot's Lodging. 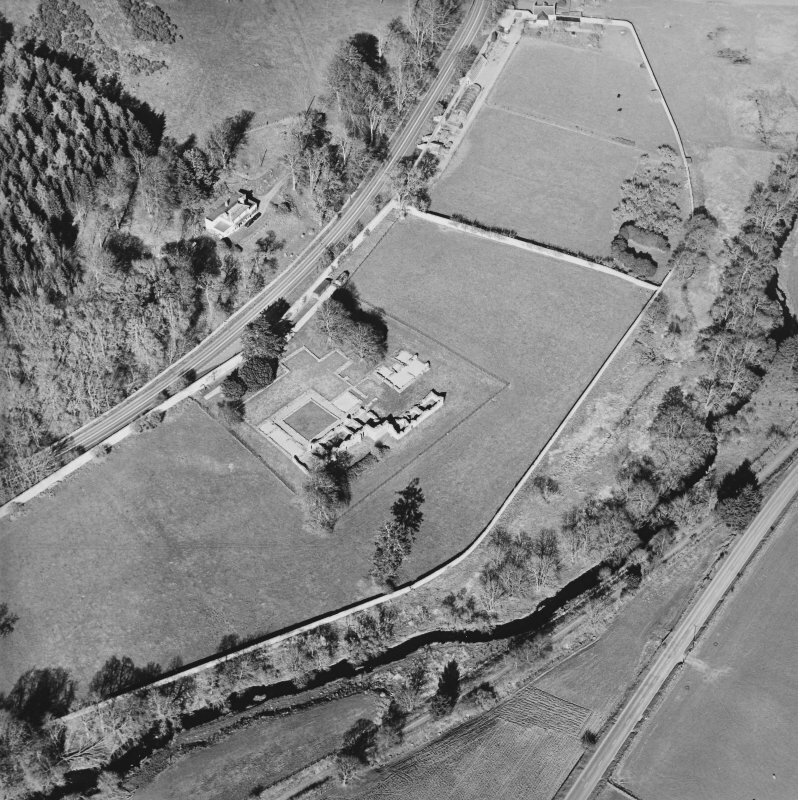 South range from south east. 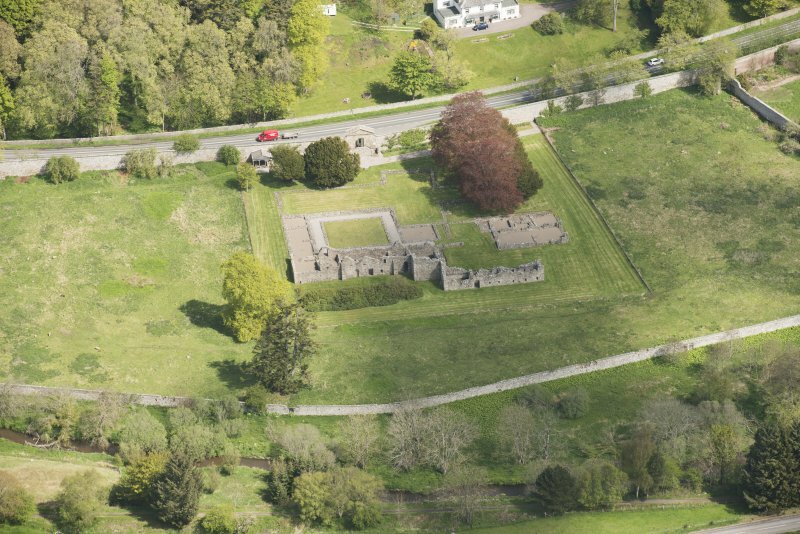 Oblique aerial view of Deer Abbey, looking to the NNW. 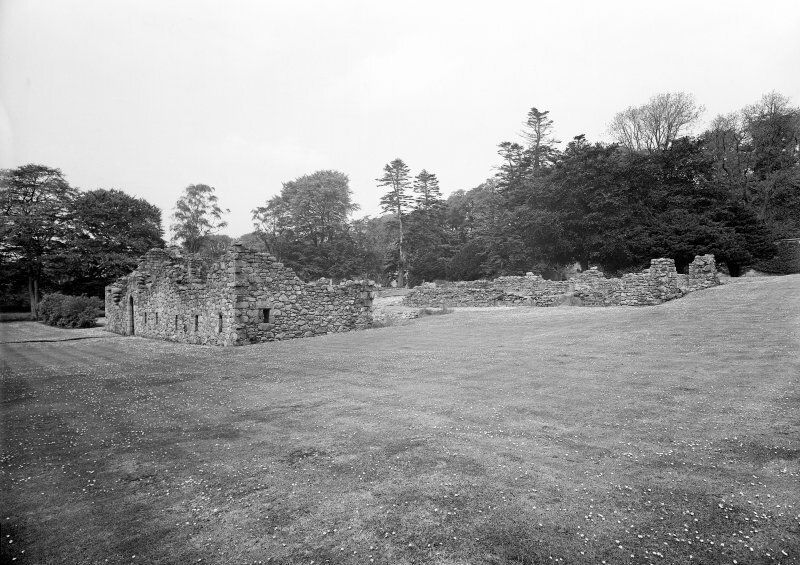 View of cloister and North wall of Refectory. 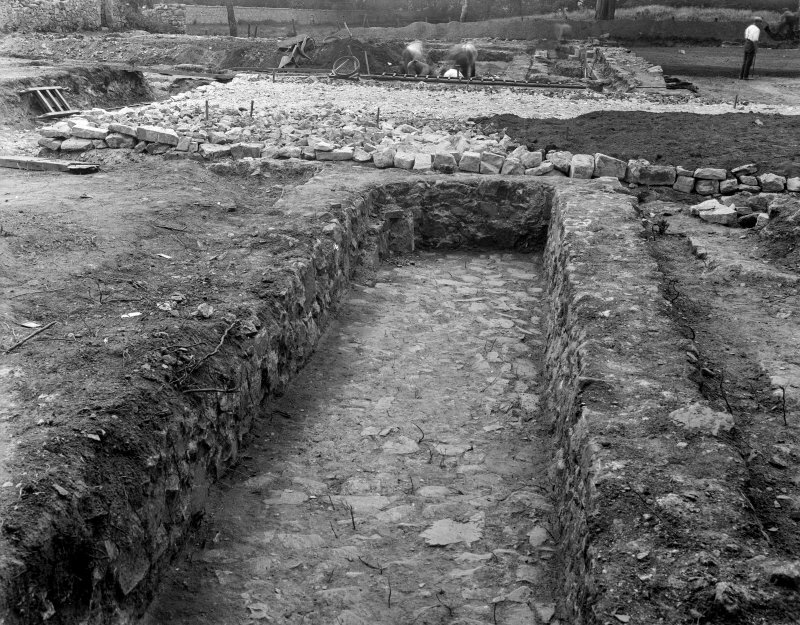 View of excavation at South wall of presbytery. 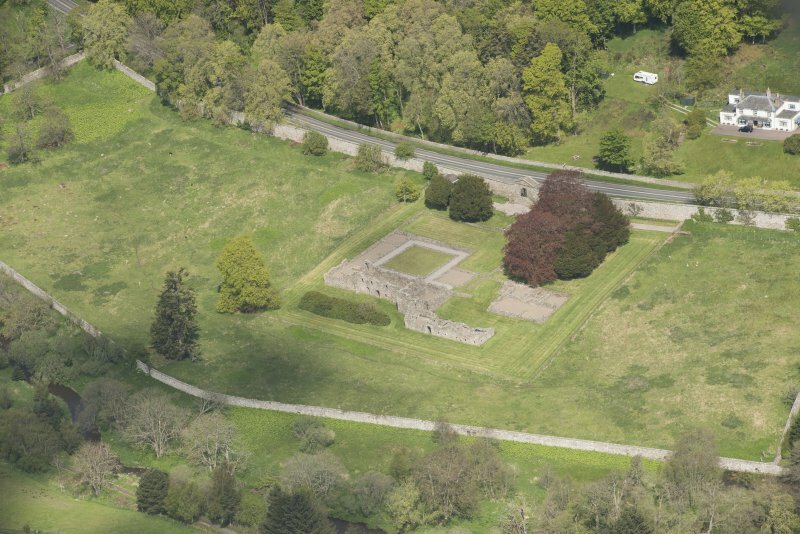 Oblique aerial view centred on the remains of the abbey and the house, taken from the SSE. 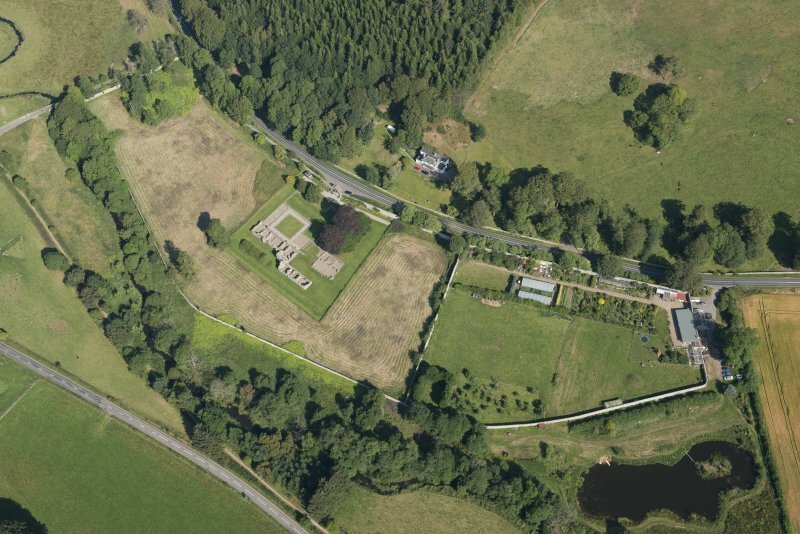 Oblique aerial view of Deer Abbey and walled garden, looking NNW. 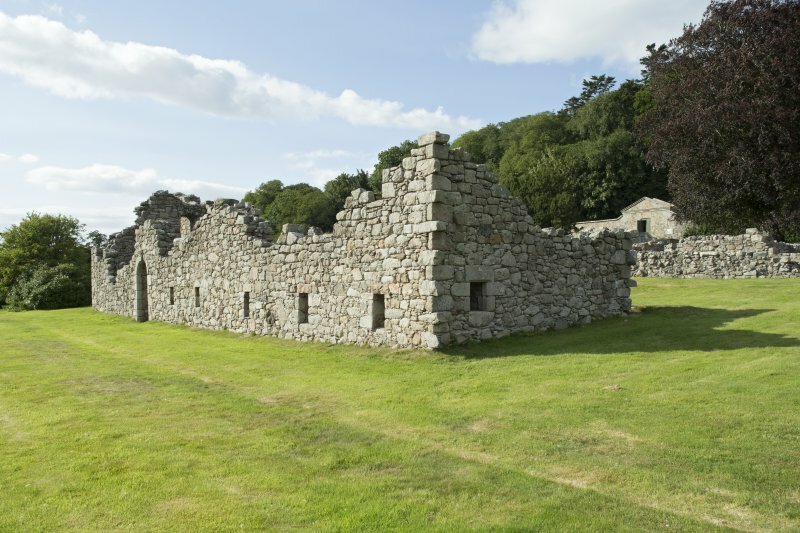 The Cistercian Abbey of Deer was founded in 1219. 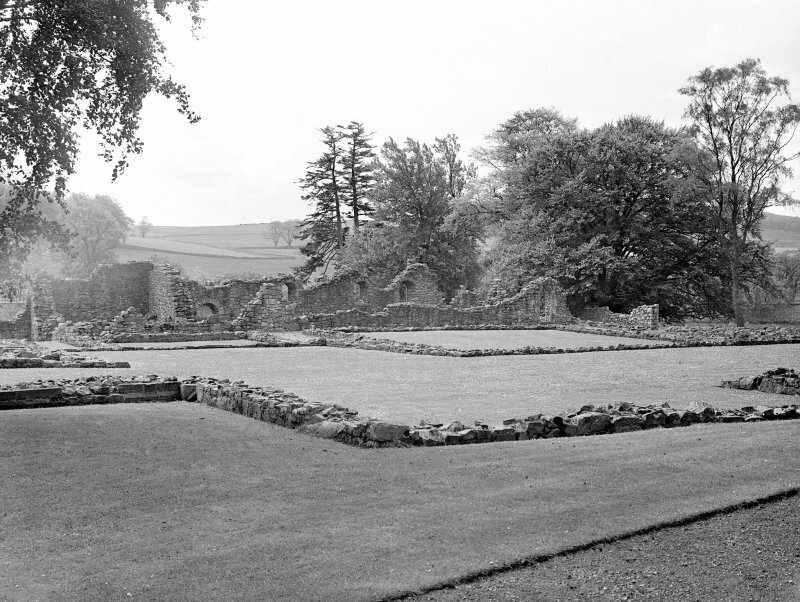 The secularization of the abbey began in 1543 and its lands erected into a barony in 1587. 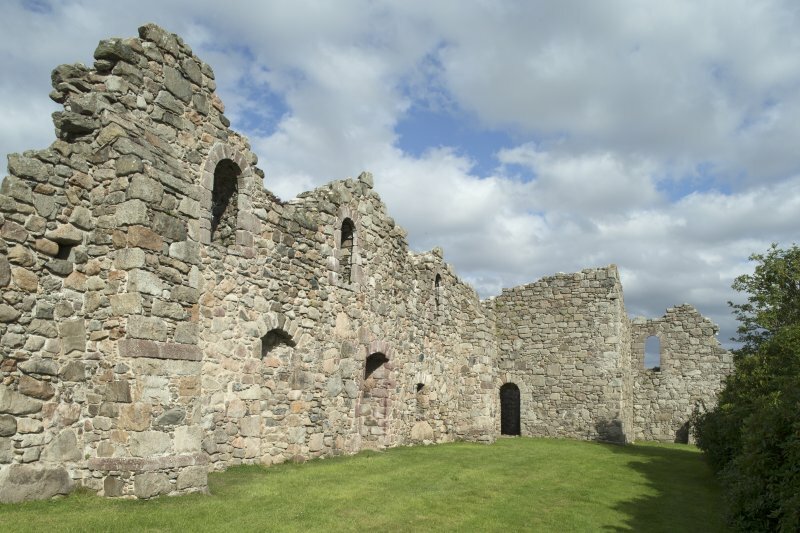 The dismantling of the buildings seems to have begun about 1590. 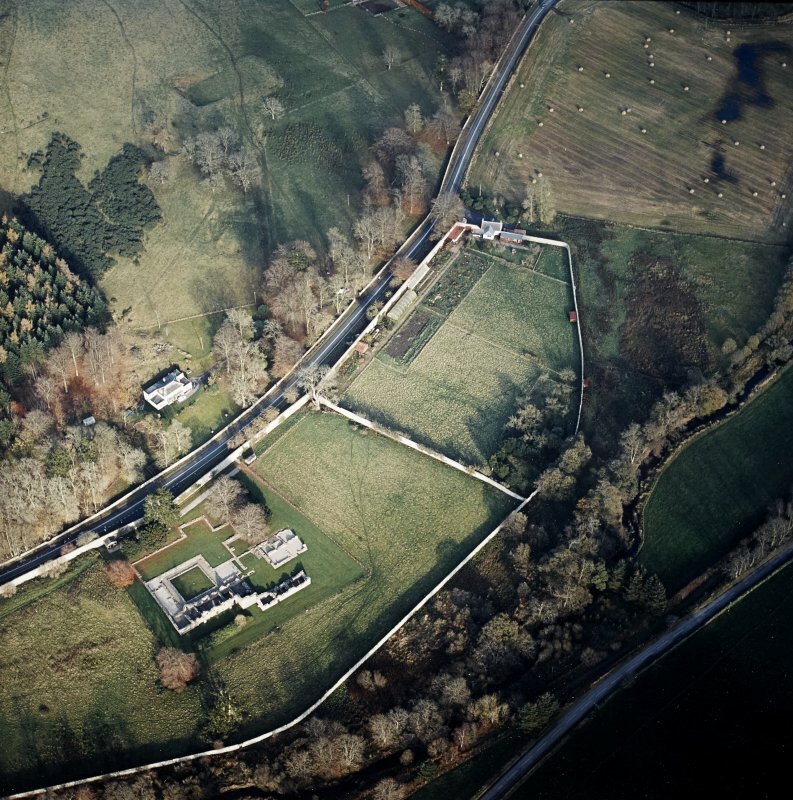 They have been reduced to little more than foundations except for the south range which still remains to a considerable height, although they were partly rebuilt in 1809. 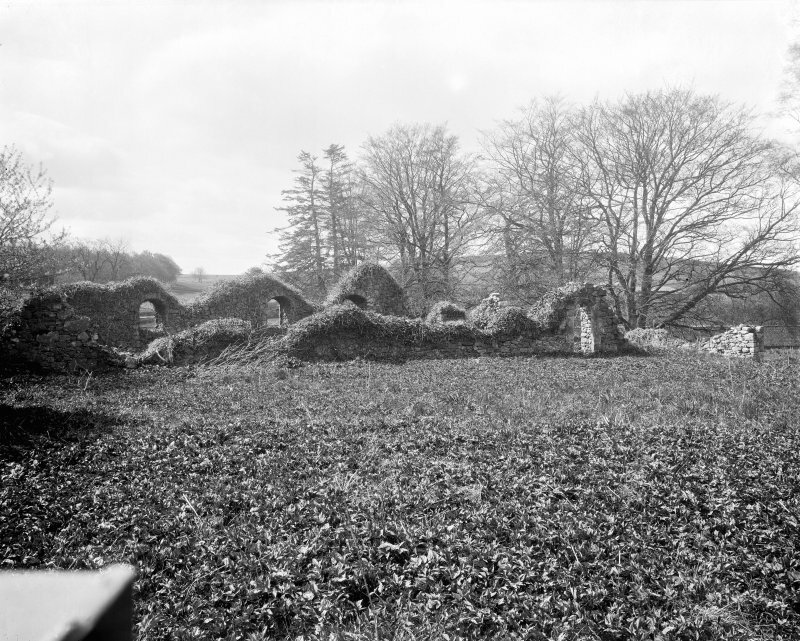 Deer Abbey is as described by Simpson. There is no trace of the symbol stone. 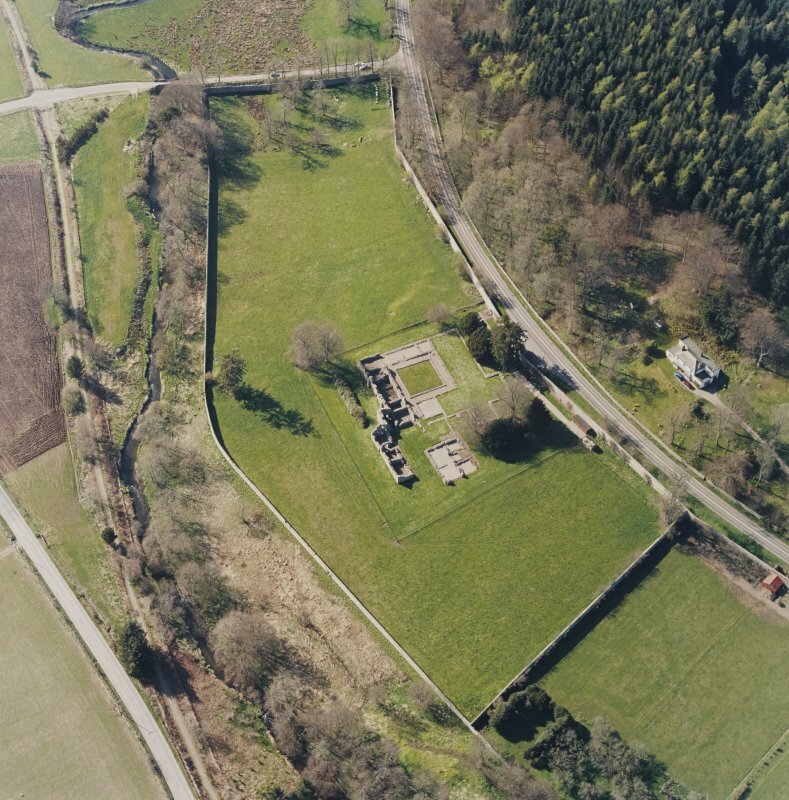 An application to develop the land between the guardianship site and the estate wall prompted a small excavation to estimate the extent of medieval activity in that area. 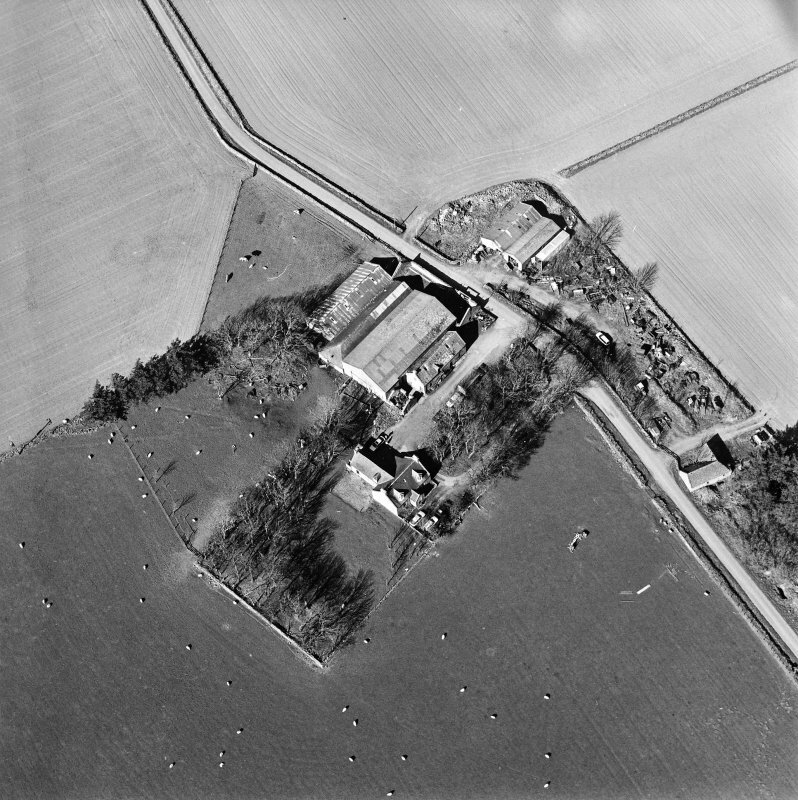 Some medieval features were found, particularly to S of the Abbey buildings and to W, where the line of the main drain was identified. 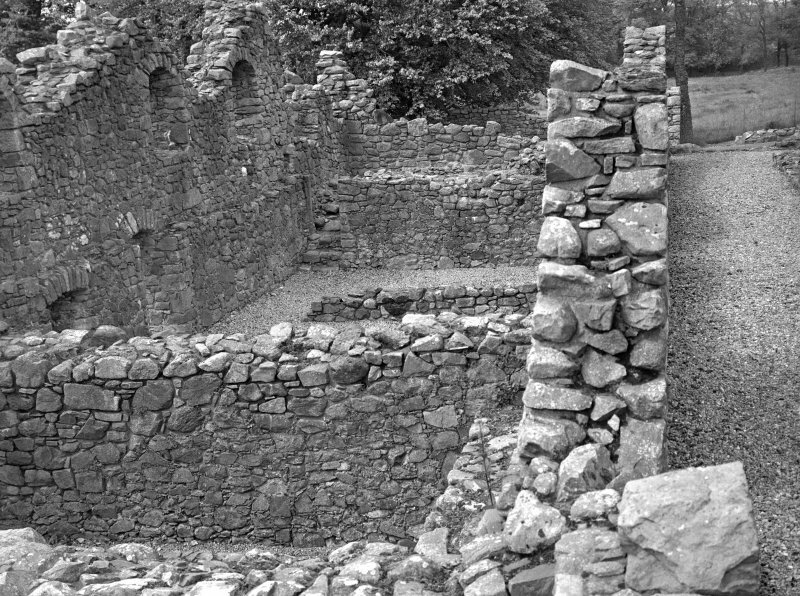 To E of the Abbey there was no trace of structures, and it seemed that burials may have been confined to the guardianship area. 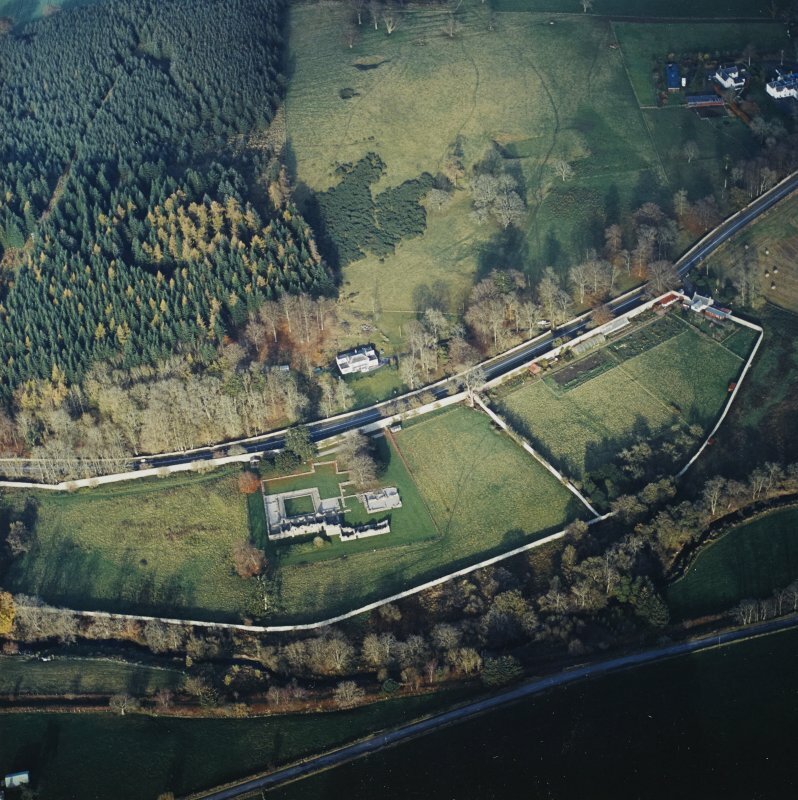 NJ 968 481 Archaeological monitoring was undertaken in April 2002 at Old Deer Abbey during the initial phase of construction of a new wooden porch. 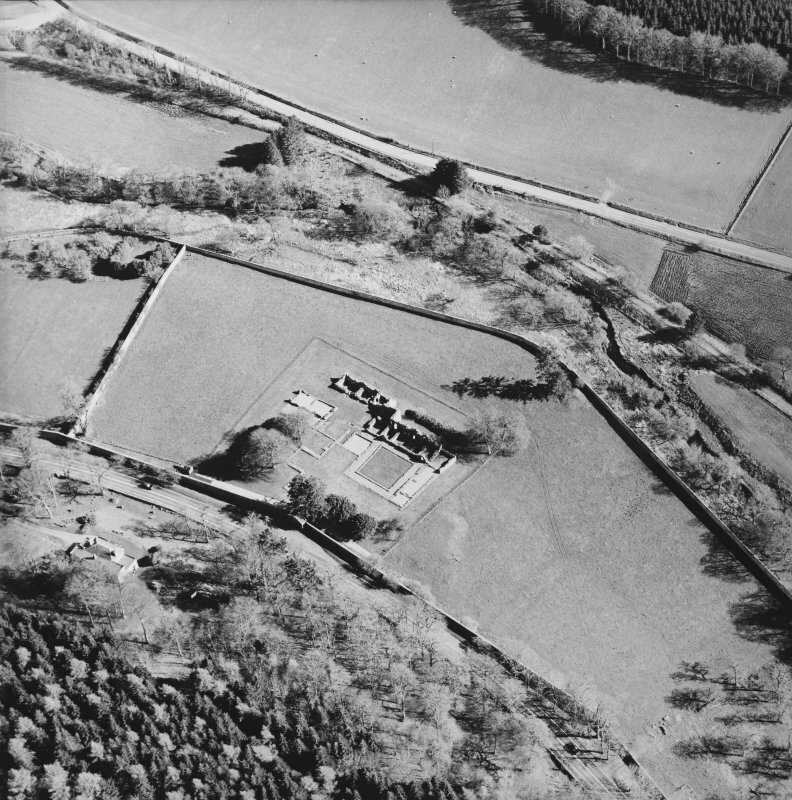 Nothing of archaeological significance was found. G Ewart and D Stewart 2002. NJ 9685 4816 A watching brief was maintained 6–8 June 2011 during the removal of a tree stump. 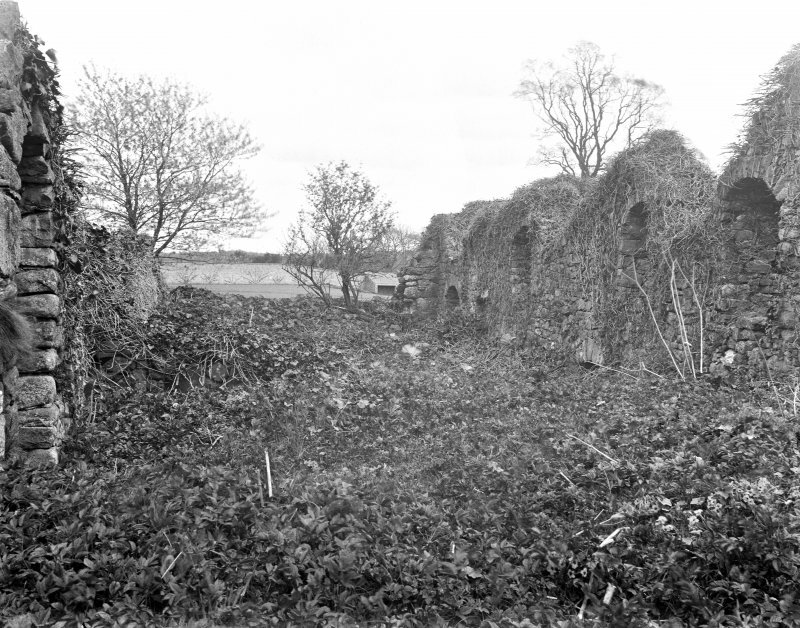 There were no finds or features of archaeological significance other than deposits which may date to 19th-century landscaping. 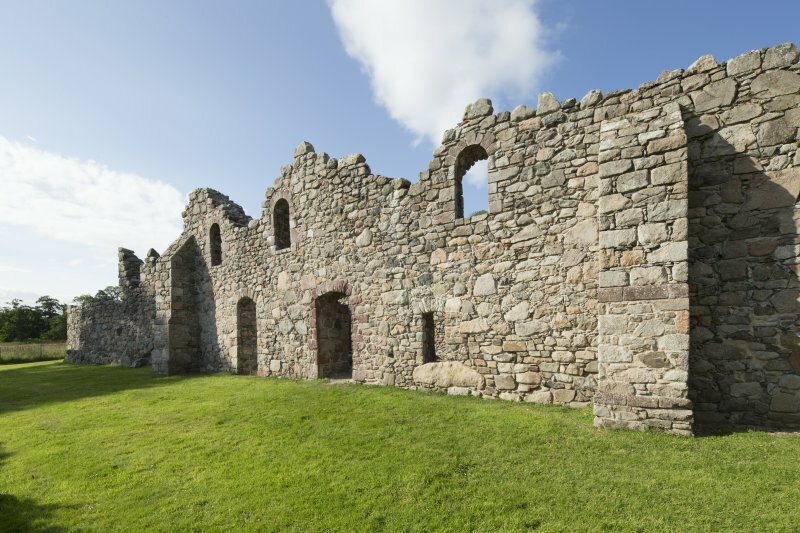 Photographed on beahlf of the Buildings of Scotland publications 2013-14. 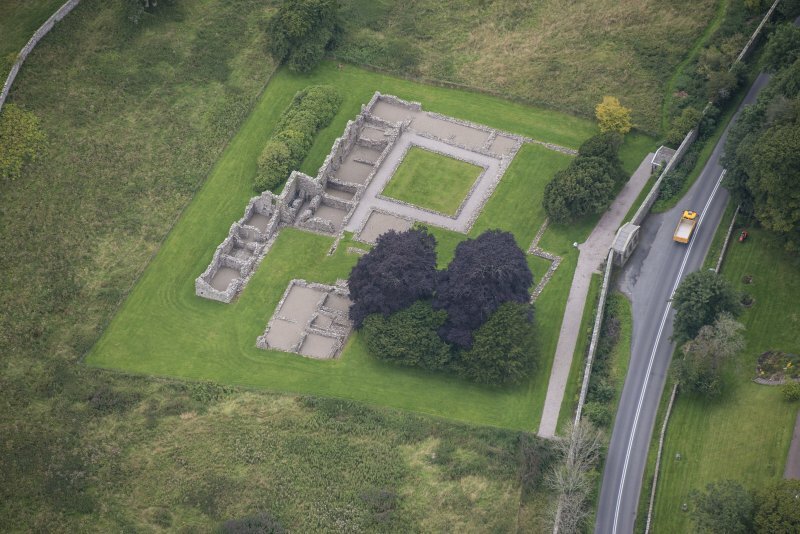 NJ 9672 4819 (Deer Abbey NJ94NE 5) The 24 June – 2 July 2017 season of research digs focused on the fields around Deer Abbey, and Rose Geophysical Consultants also carried out survey work. 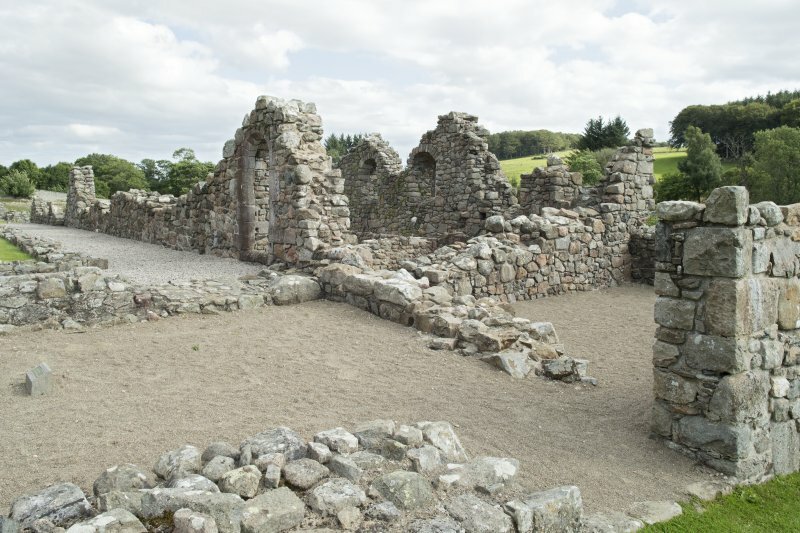 be structures associated with the abbey which was founded in 1219AD. 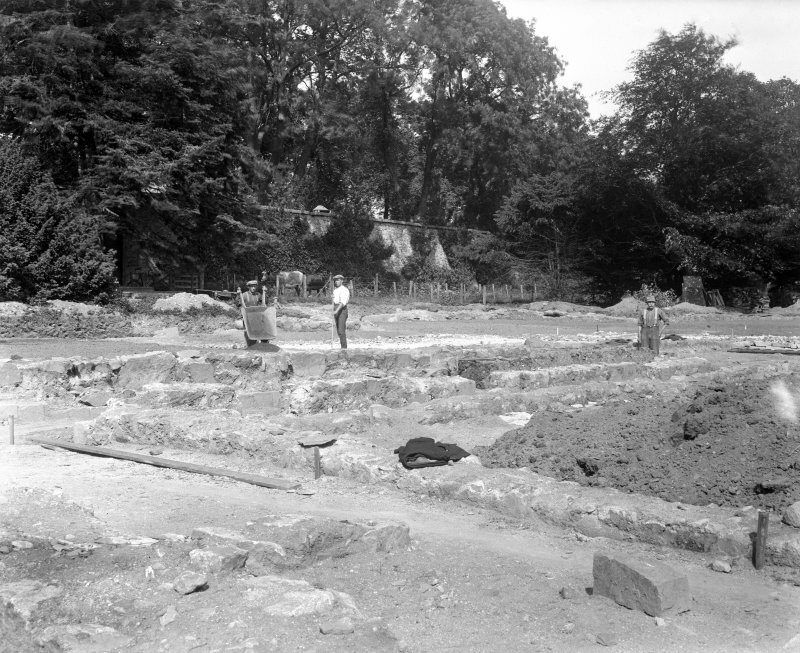 School classes, local volunteers, students and archaeologists participated in this dig. 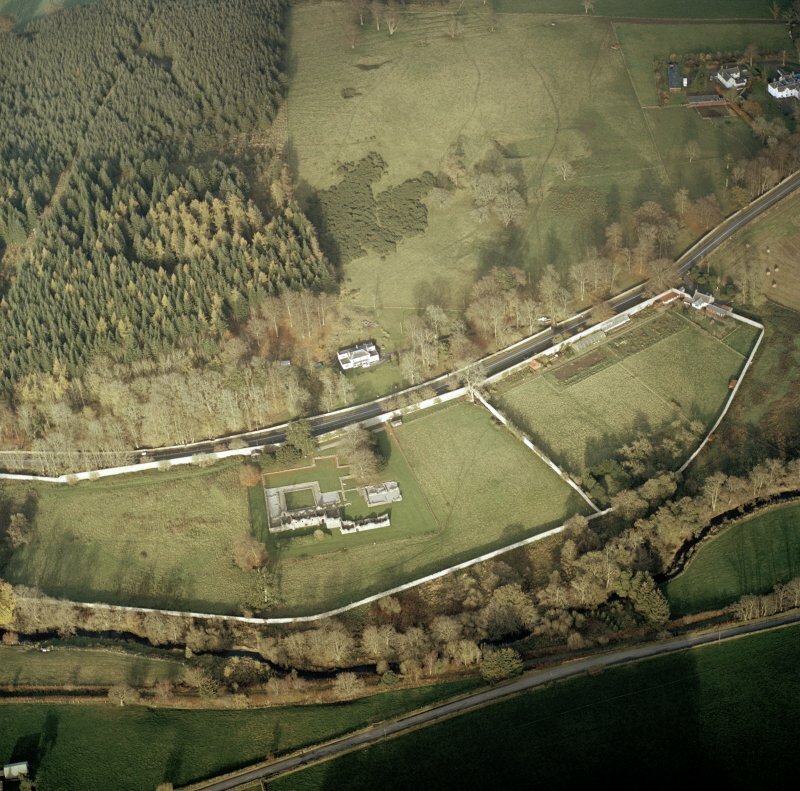 The whole excavation was filmed by Midas Media for BBC Alba. 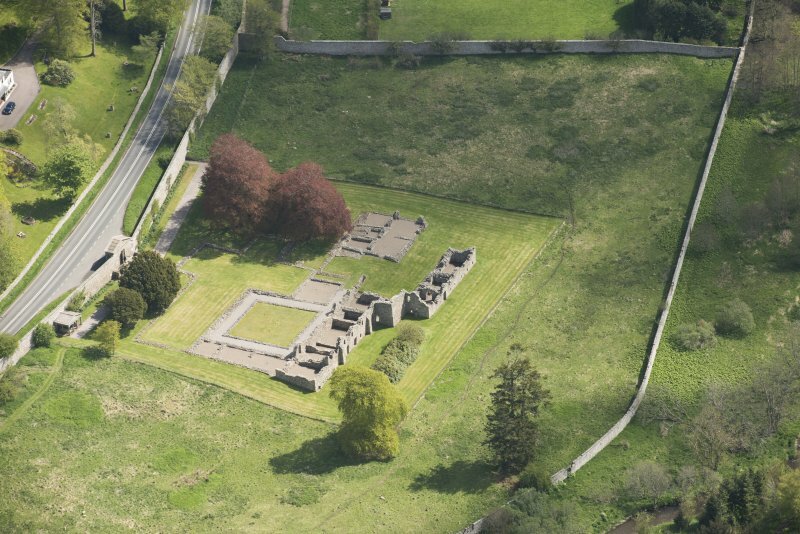 NJ 96855 48107 (NJ94NE 5) A programme of geophysical survey was undertaken, 27 March – 5 April 2017, within and around Deer Abbey, a Cistercian establishment founded in 1219. 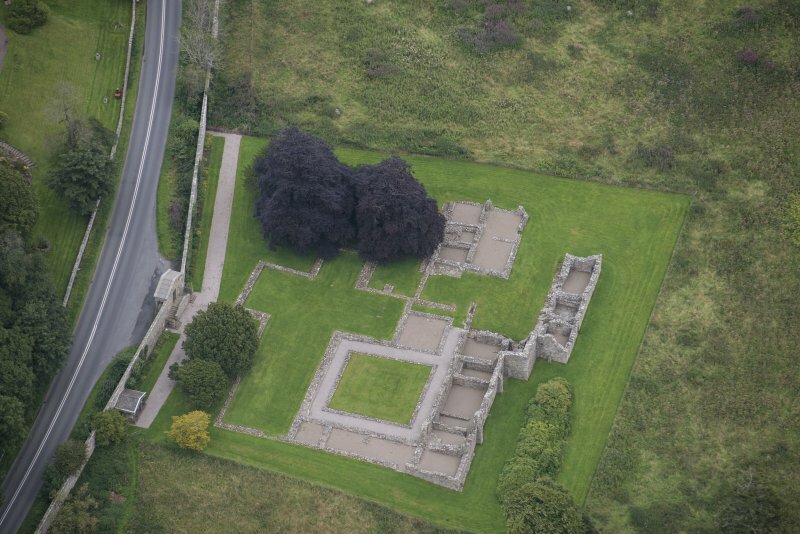 The abbey’s history is not well understood but the community could never have been large. 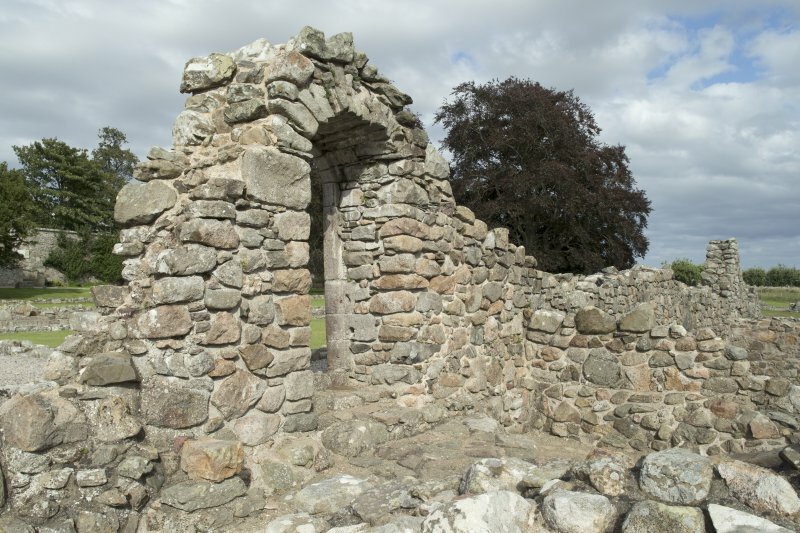 In 1544 an abbot and 11 monks were recorded. 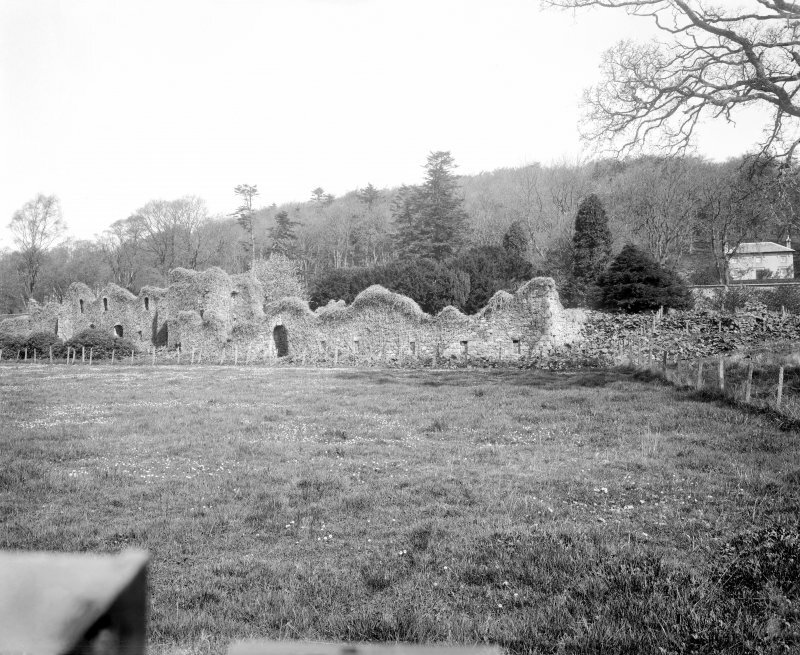 The abbey fell into disrepair in the late 16th century, being partially dismantled from c1590. 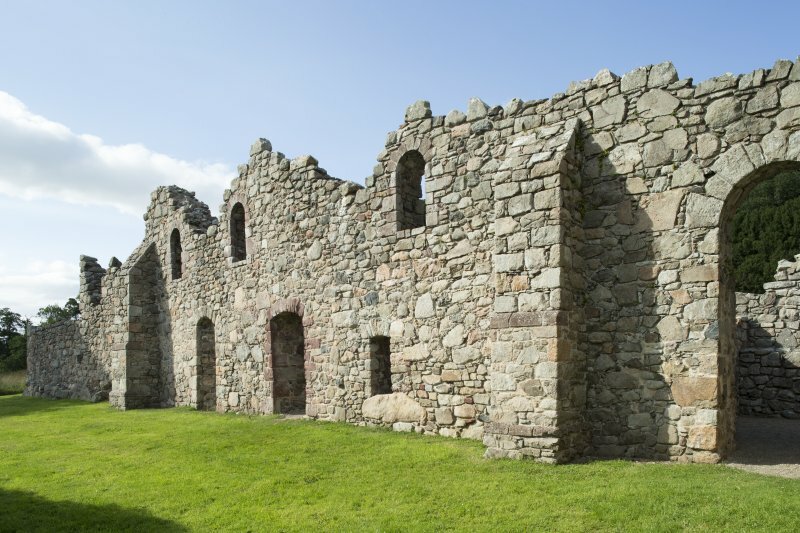 In 1809 the ruins were cleared of rubbish and repaired by James Ferguson of Pitfour with the S range being partially rebuilt. 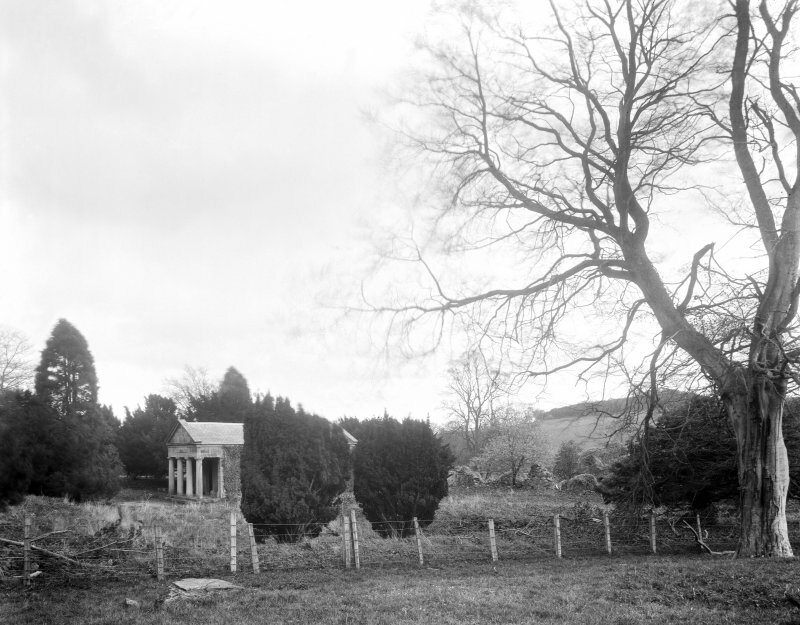 In 1854 this was largely destroyed by Admiral Ferguson in order to build a mausoleum in the grounds. 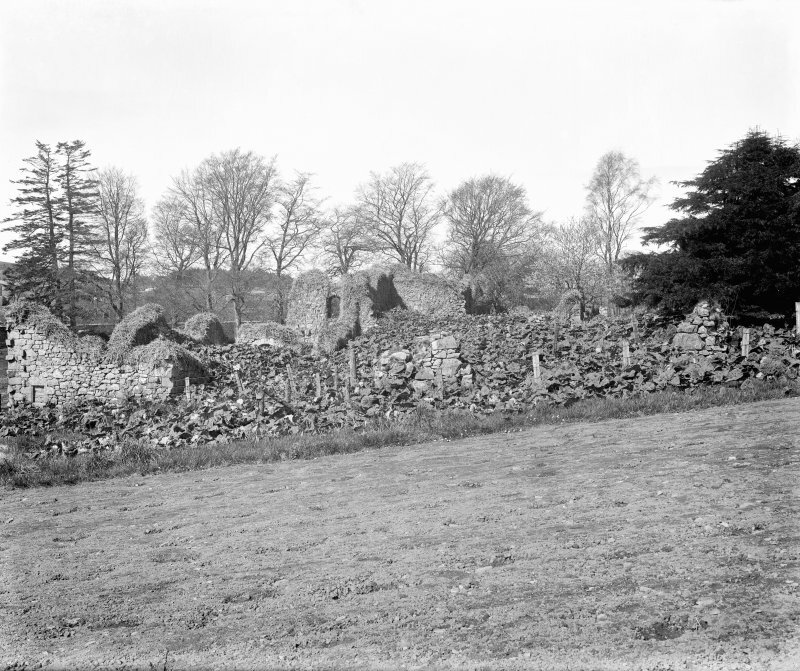 In 1930, the remains were bought by the Roman Catholic Church who gave custody to the Ministry of Works. 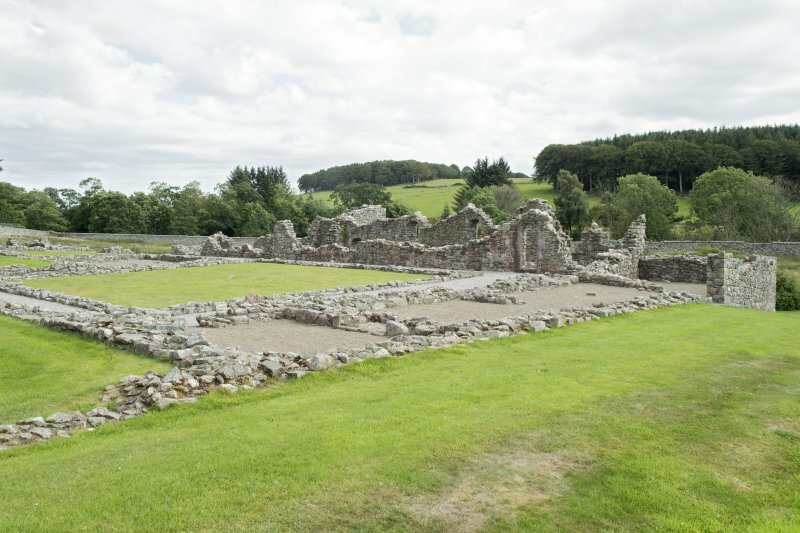 The mausoleum was removed and the abbey repaired and laid out as it is seen today. interest, with data from both surveys dominated by paths dating from the late 1700s. 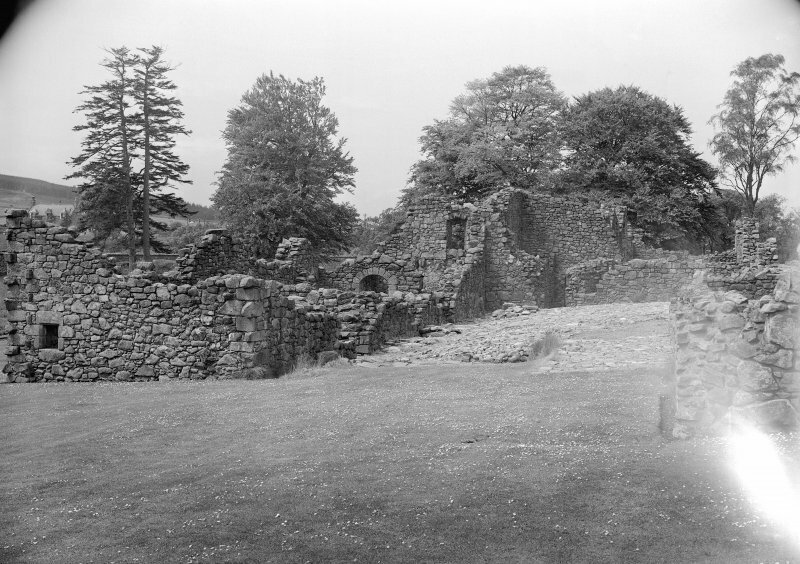 There is some correlation between the resistance and the GPR data particularly within the SE of the survey area where anomalies suggestive of buried remains associated with the abbey have been detected. 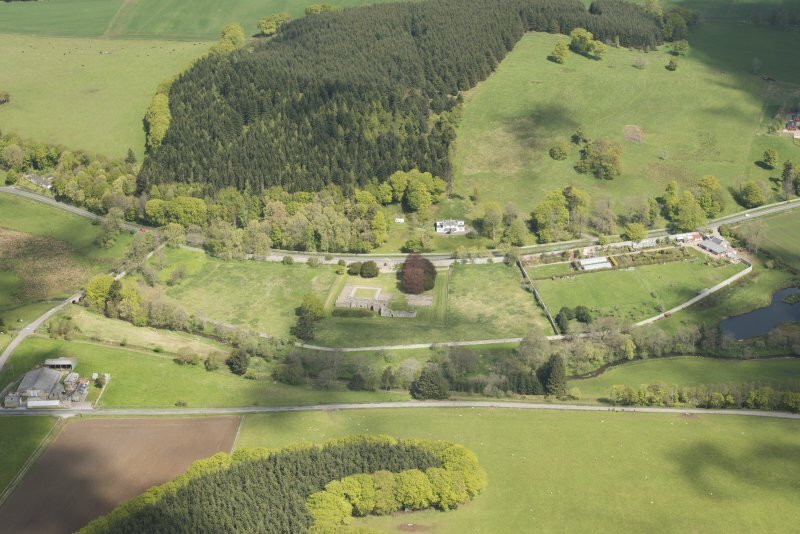 Anomalies and trends have been noted within the church which may be of archaeological interest, although interpretation is tentative given the past excavation at the site. 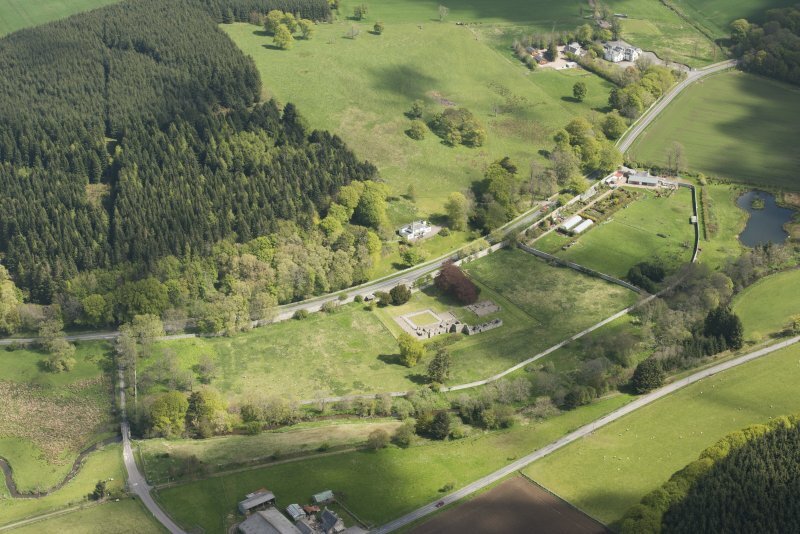 Within the wider area of the orchard and gardens the resistance survey data are dominated by responses from the 1700s paths. 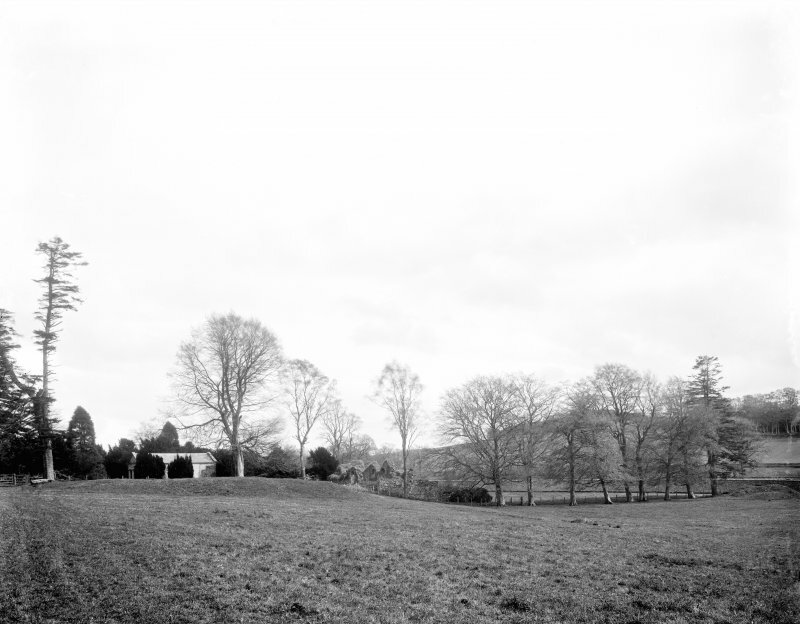 Additional anomalies have also been noted, particularly in the N of the area, some of which show some correlation with buildings depicted on plans from the late 1700s/early 1800s. Additional anomalies are also evident in the NE of the orchard area. 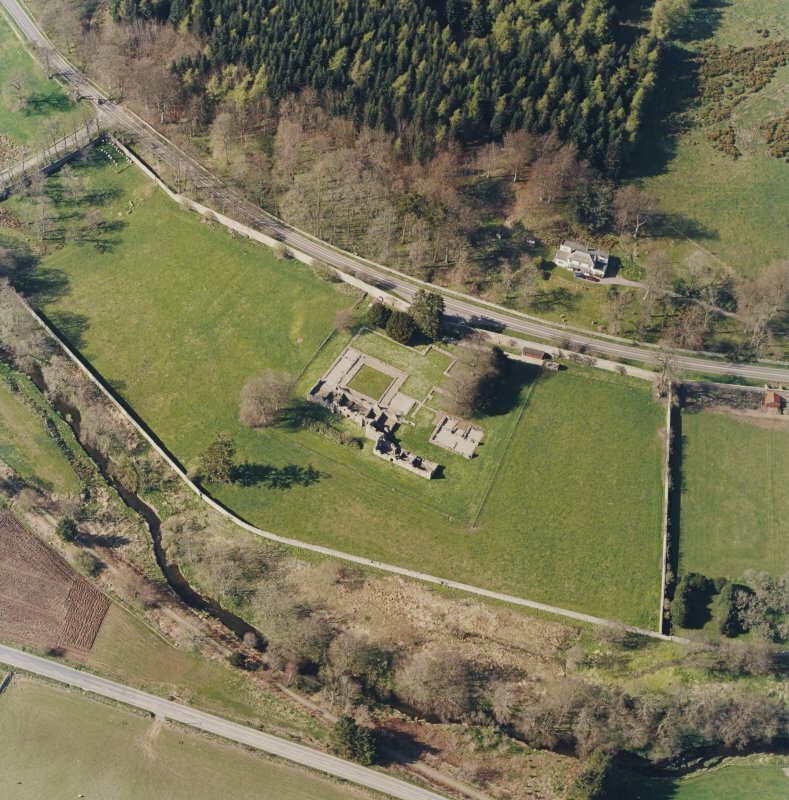 The National Library of Scotland, Edinburgh, contains, amoung the 'Uncatalogued MSS of General Hutton', and numbered 7 in vol.II, a Plan of Deer Abbey in Aberdeenshire, dated 1789 and with References, to the scale of 1 inch to 1 chain. 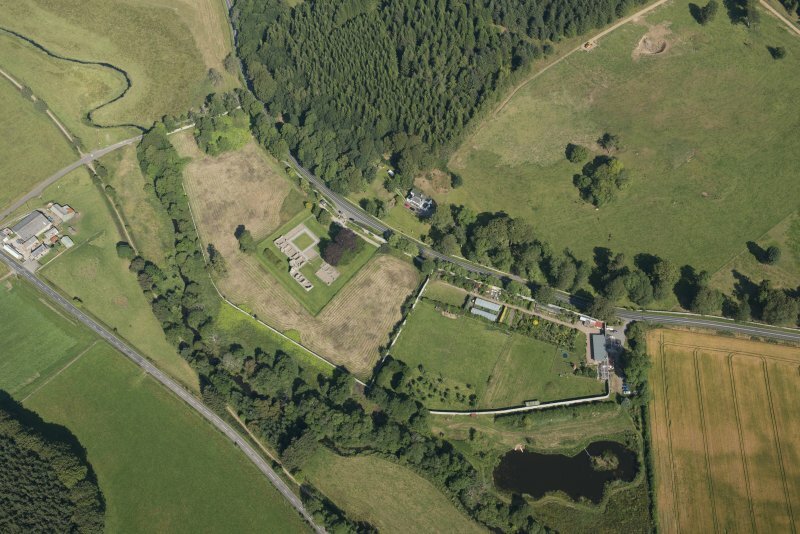 The is also a larger ground plan, to the scale of 37 feet to an inch, by Allan, dated 1805. 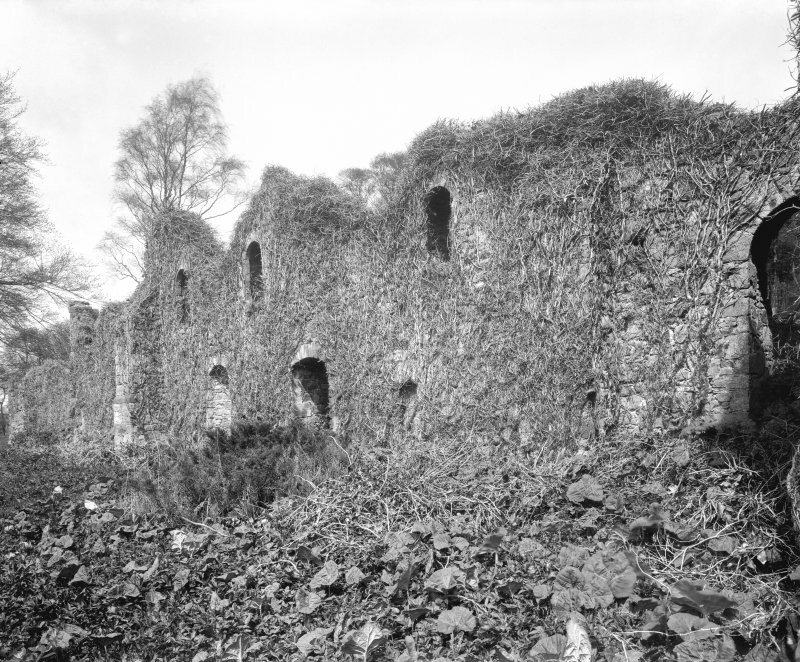 There are also some rough Sketches of the ruined walls, in which no vestiges of Architectural treatment seem to remain. 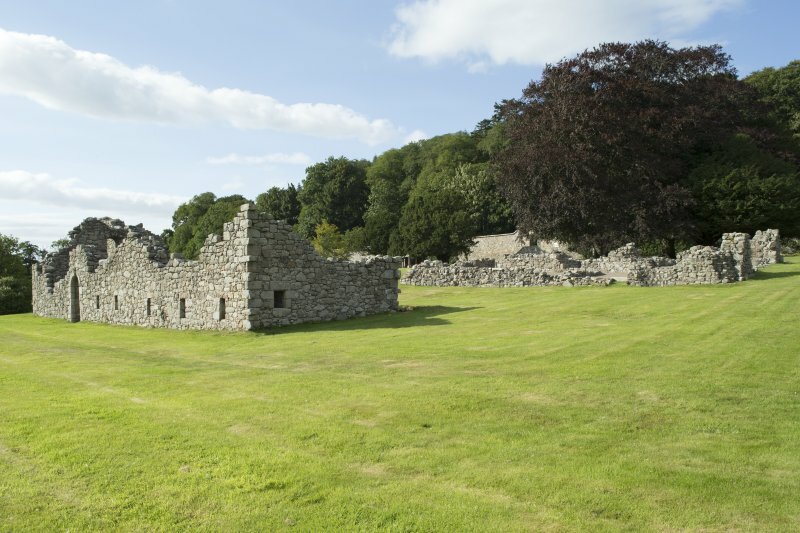 In the Parish of Old Deer, Buchan, not far distant from the village of Deer, and upon the North bank of the River Ugie, stand the remains of this once extensive Abbey. (Location cited as NJ 9685 4810: nominated as Site of Regional Significance). 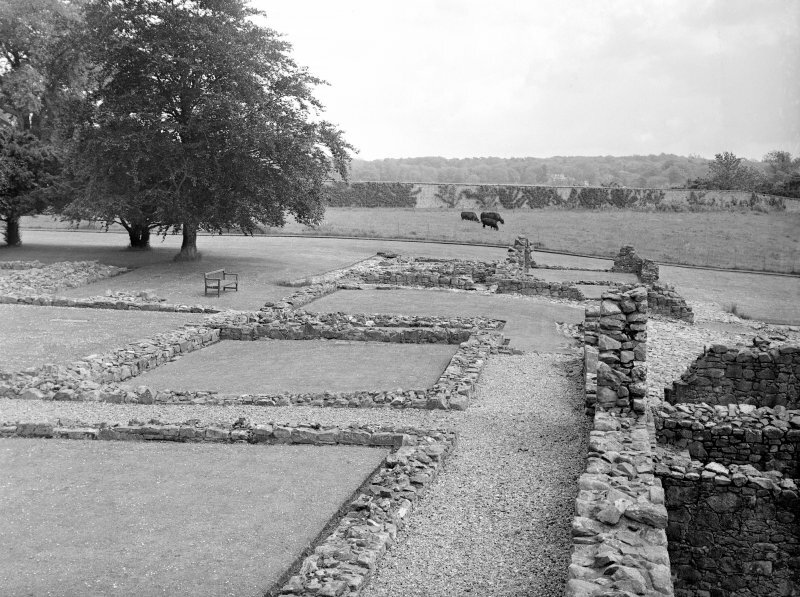 Remains of Deer Abbey; Cistercian, founded in 1219. 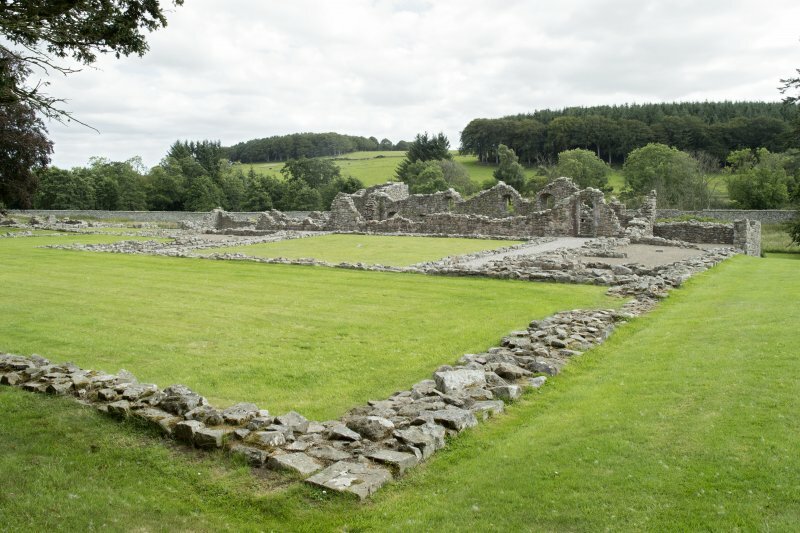 The abbey's history is obscure and, judging from the remains, the community could never have been large. 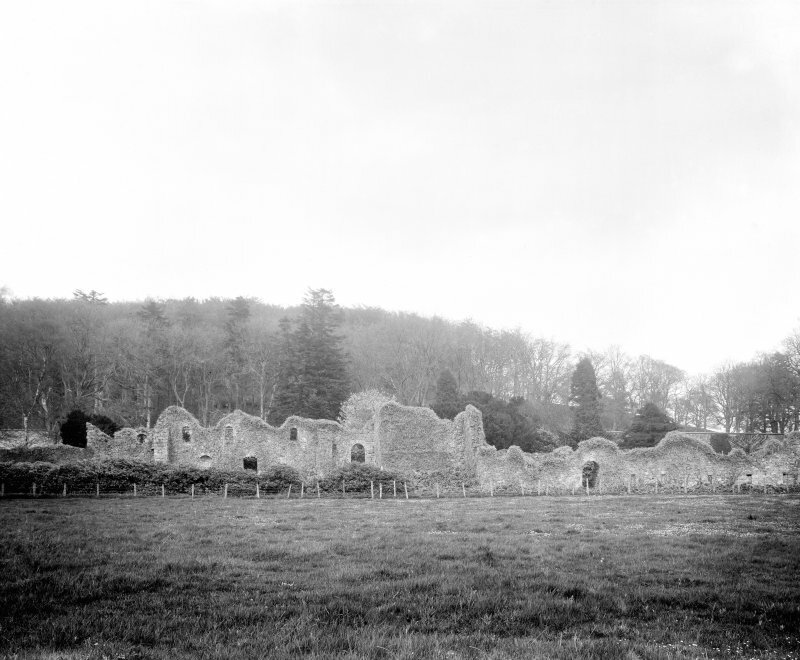 In 1544 an abbot and eleven monks were recorded. 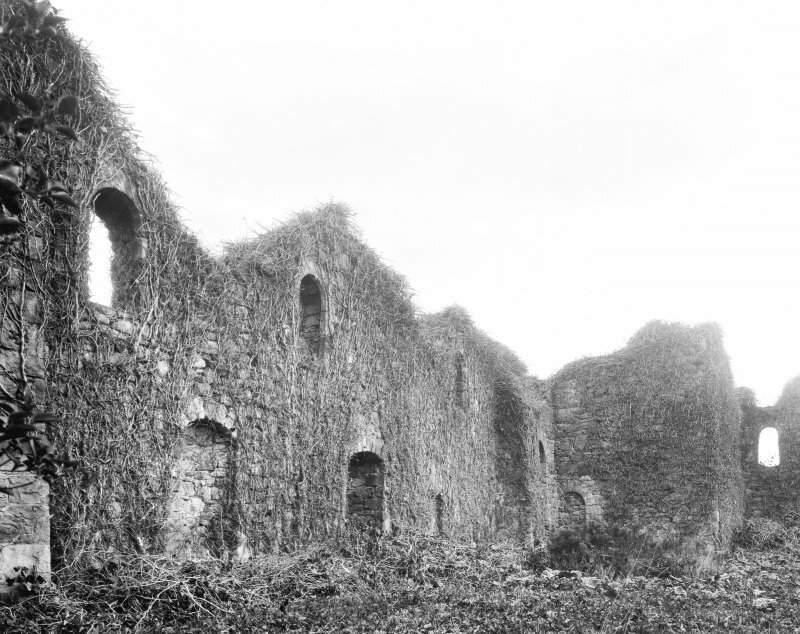 The abbey fell into disrepair in the late 16th century, being partially dismantled from c. 1590. 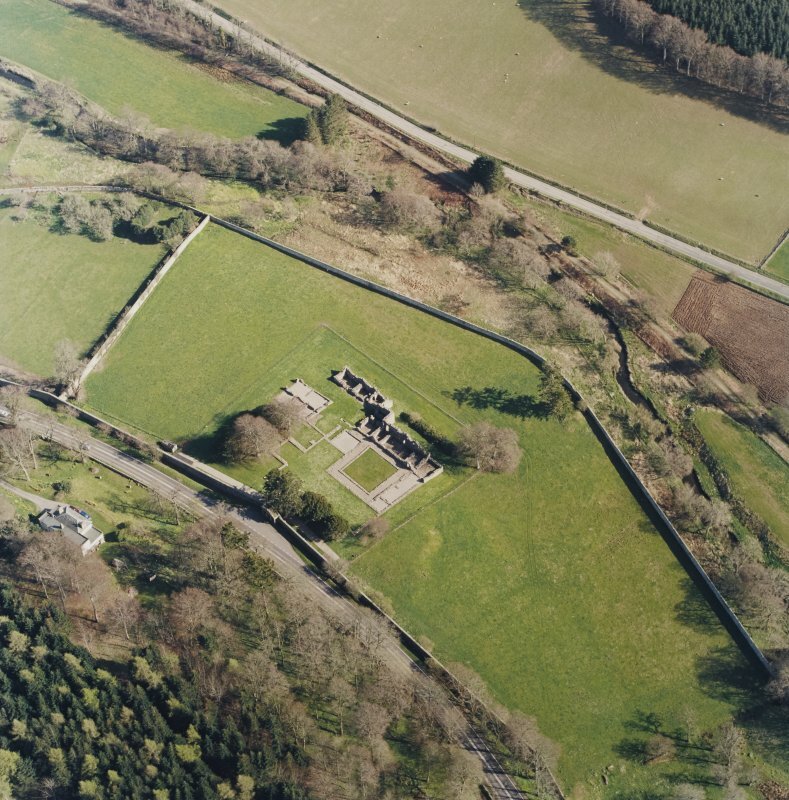 In 1809 the ruins were cleared of rubbish and repaired by the then proprietor, James Ferguson of Pitfour (the S range being partially rebuilt), but in 1854 it was practically destroyed by Admiral Ferguson in order to build a mausoleum in the grounds. 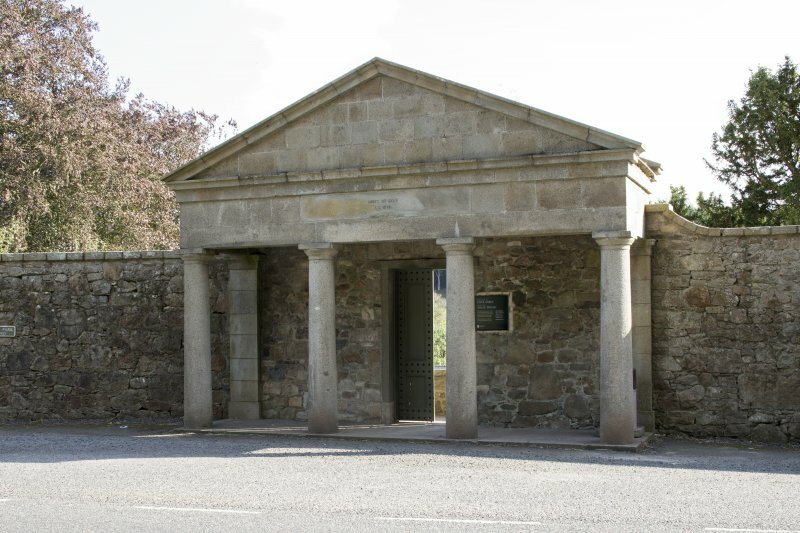 In 1930, the remains were bought by the Roman Catholic Church who gave custody to the Ministry of Works. 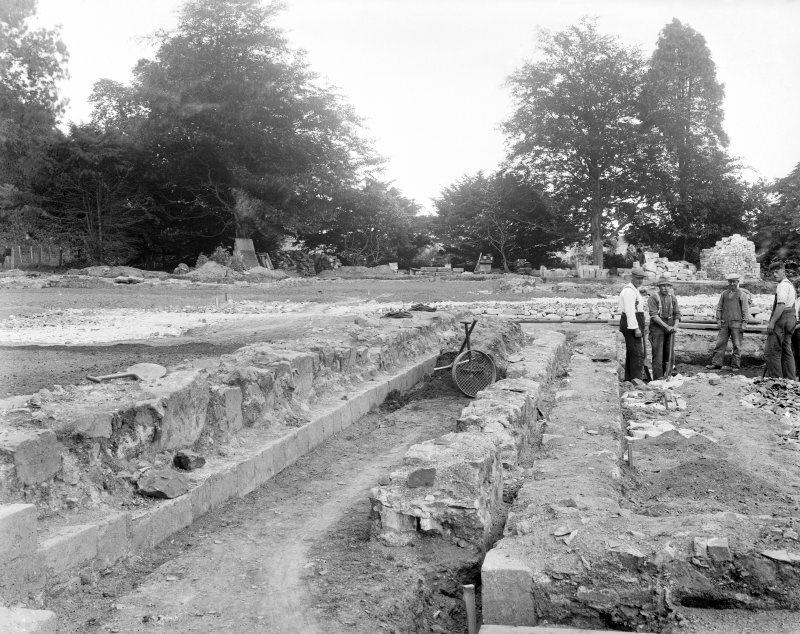 The mausoleum was removed and the Abbey repaired and laid out as it is today. 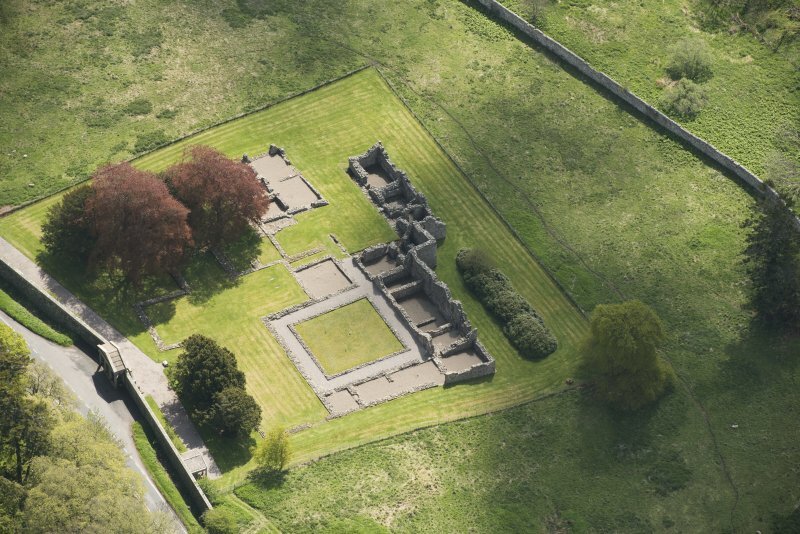 The remains of the church and cloister can be seen along with the domestic W and S range with the kitchen and refectory, also the chapter-house, toilets, abbot's house and infirmary. 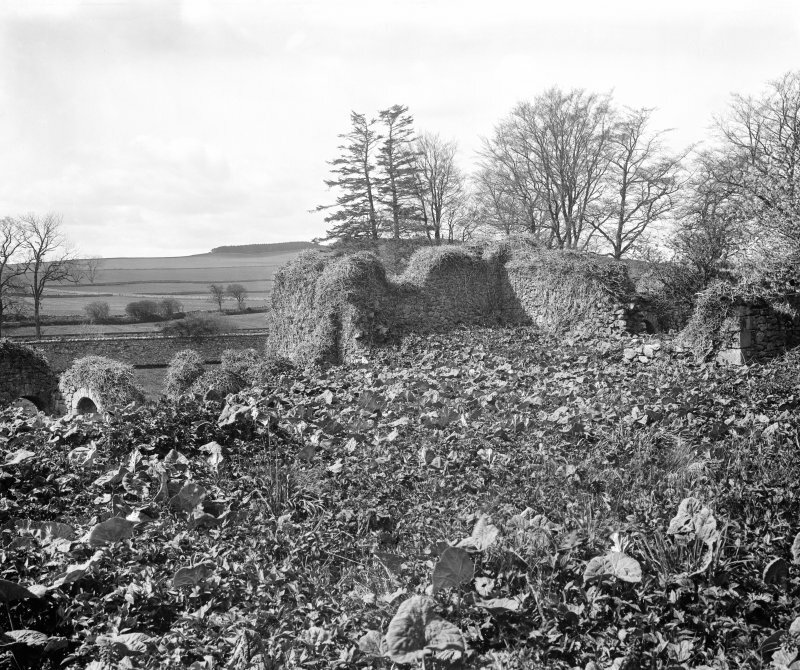 A symbol stone, sculptured on both sides, stood some years ago at the E end of a range of buildings, but there is now no trace of it. 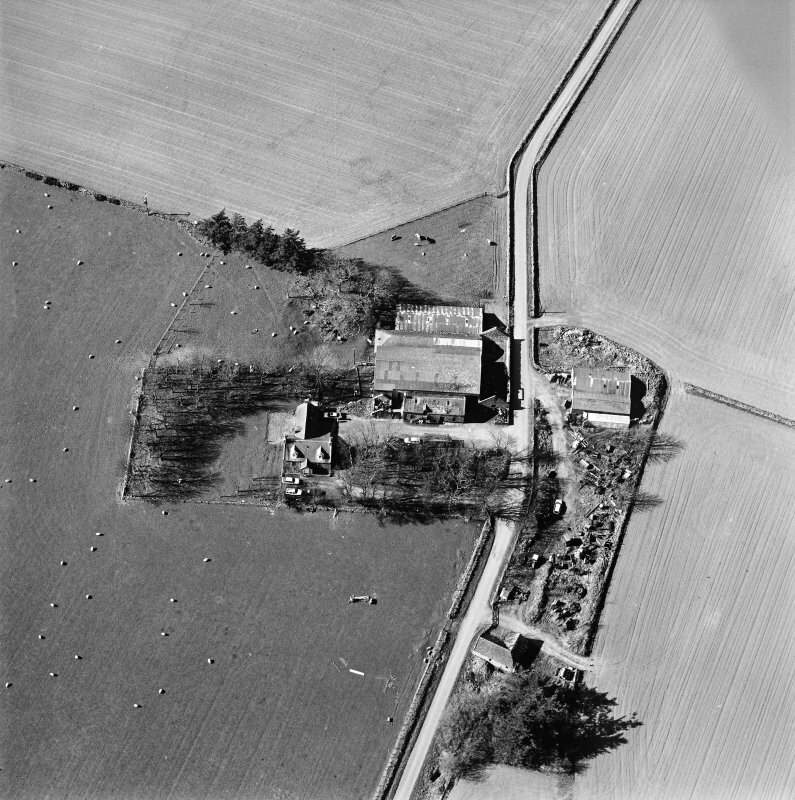 Finds from Stones' excavations of 1985 are held in Aberdeen [City] Museum. [Air photographic references and newspaper/typescript references cited]. 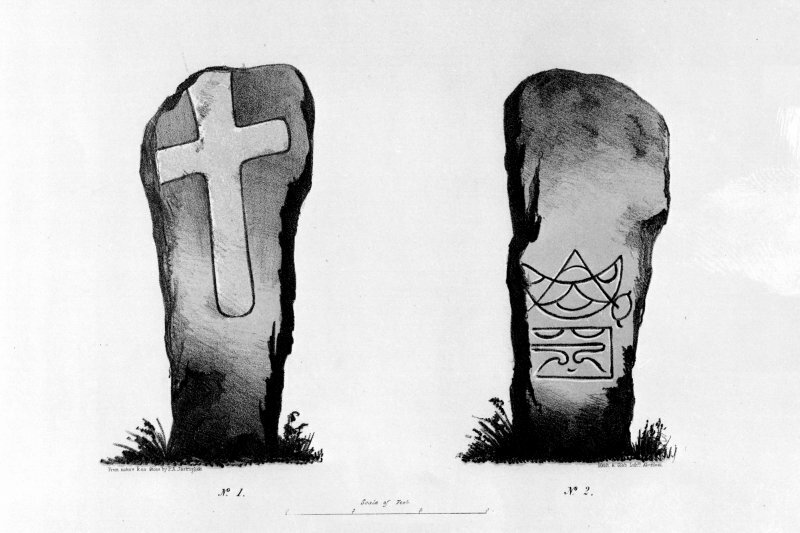 For Pictish Symbol Stone, see NJ94NE 5.02.